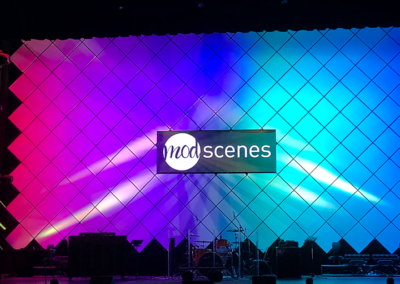 Mod Scenes Creations from Creatives Like You! 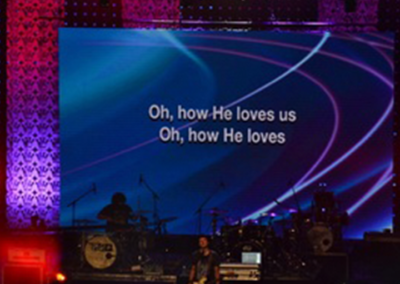 Love what you have seen here? 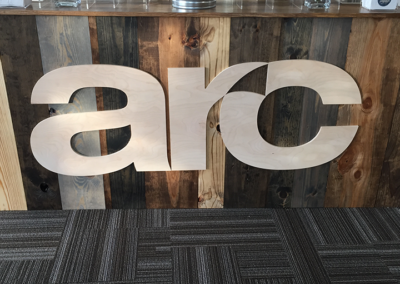 We would love to help you create something perfect for your space! 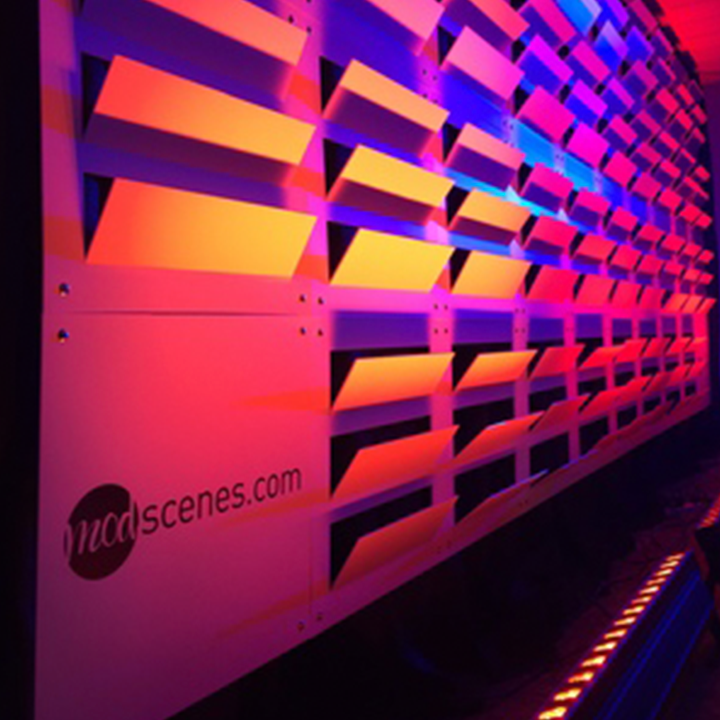 Have a great Mod Scenes design you would like to share? 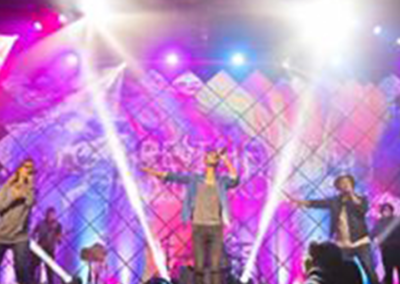 We would love to share it with the world! 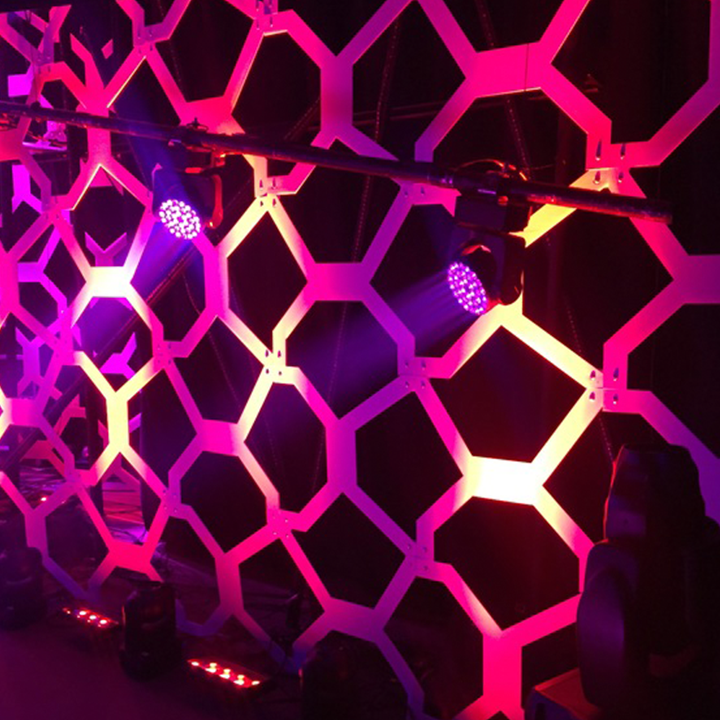 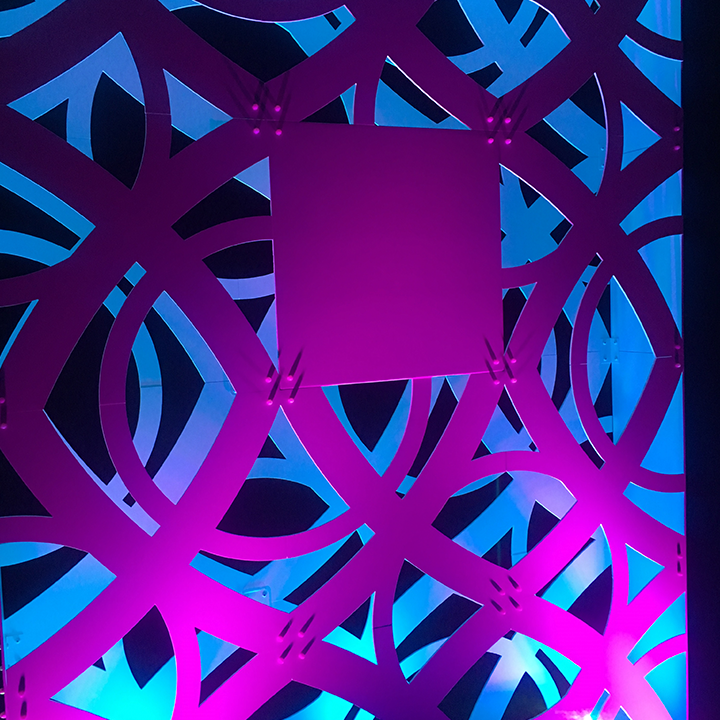 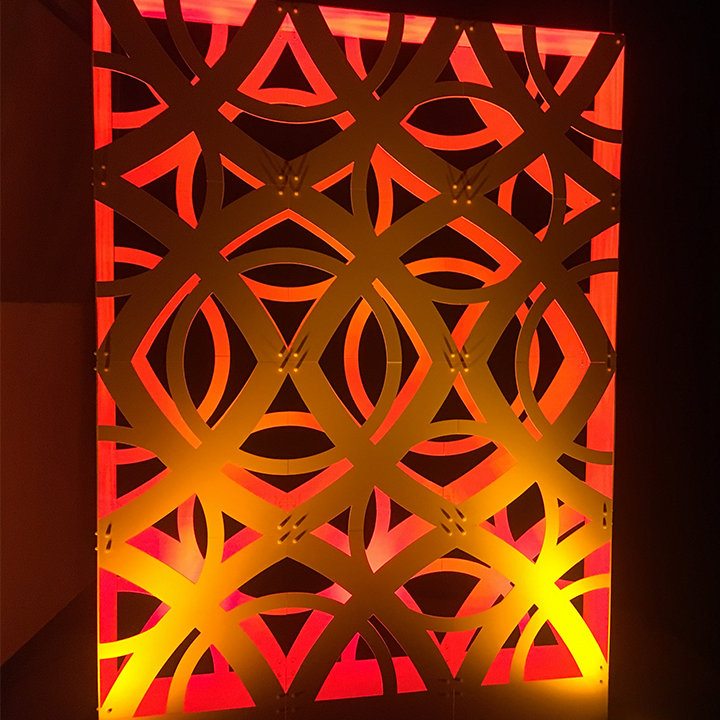 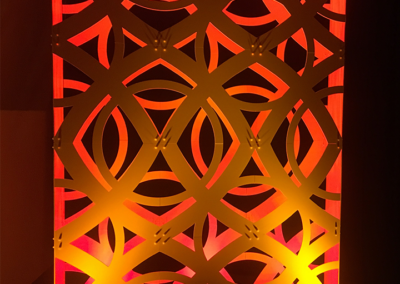 The incredible sampleings of designs you see here are just a taste of the great stage designs we have helped our clients create. 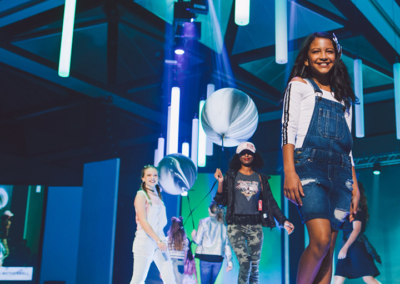 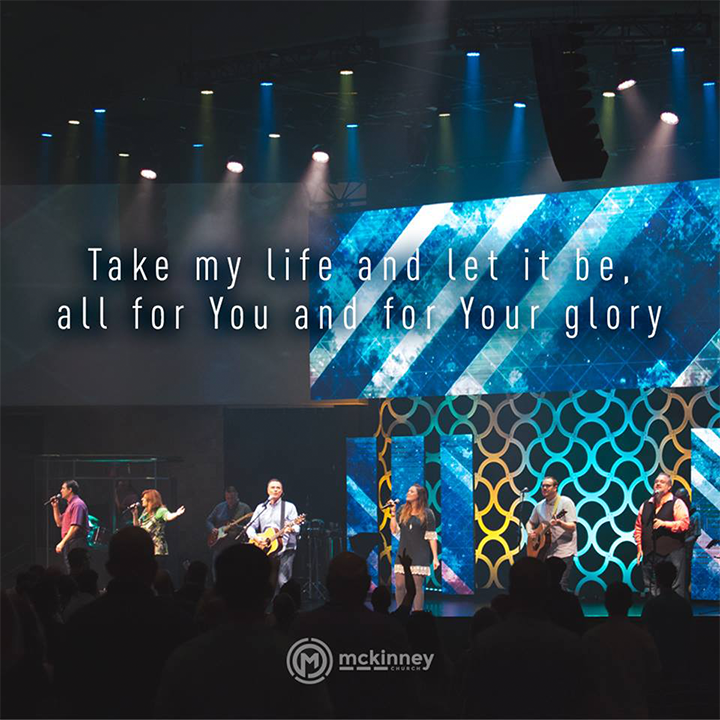 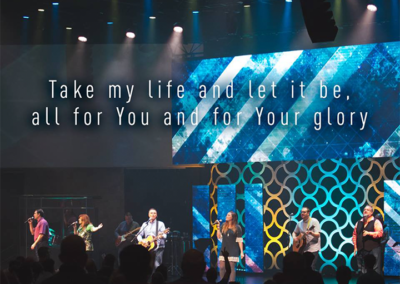 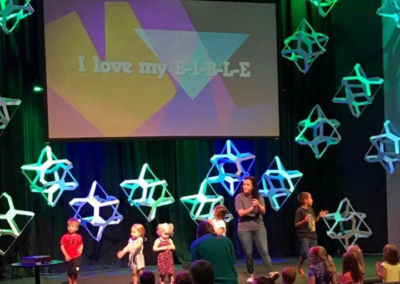 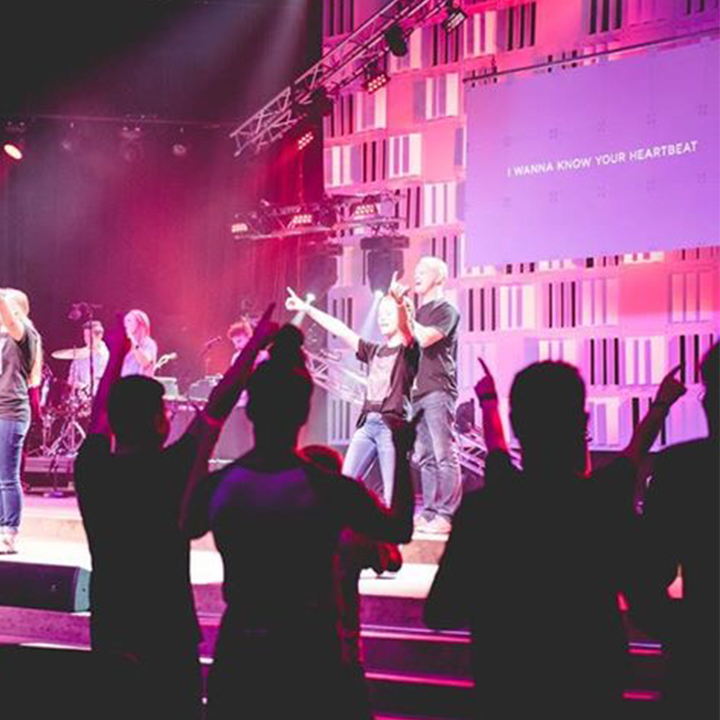 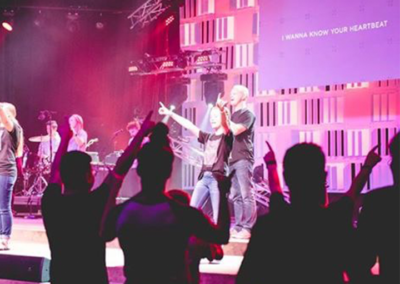 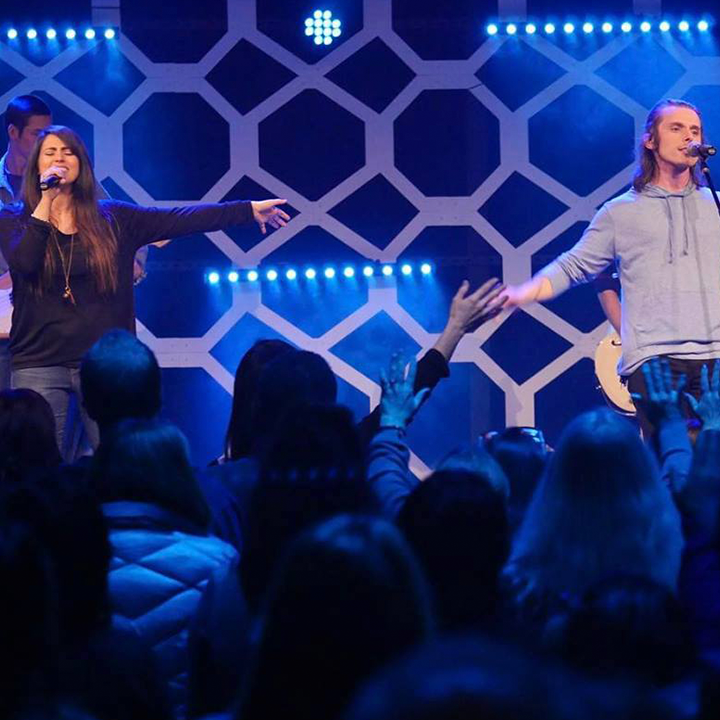 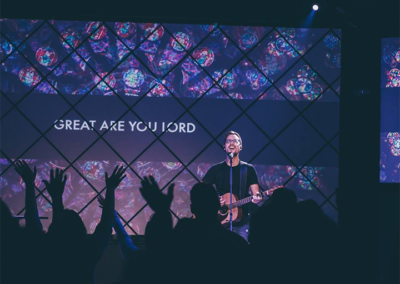 Our happy clients include Life.Church, Church of the Highlands, Willow Creek Community Church, Live Design International (LDI), Student Life, and many more. 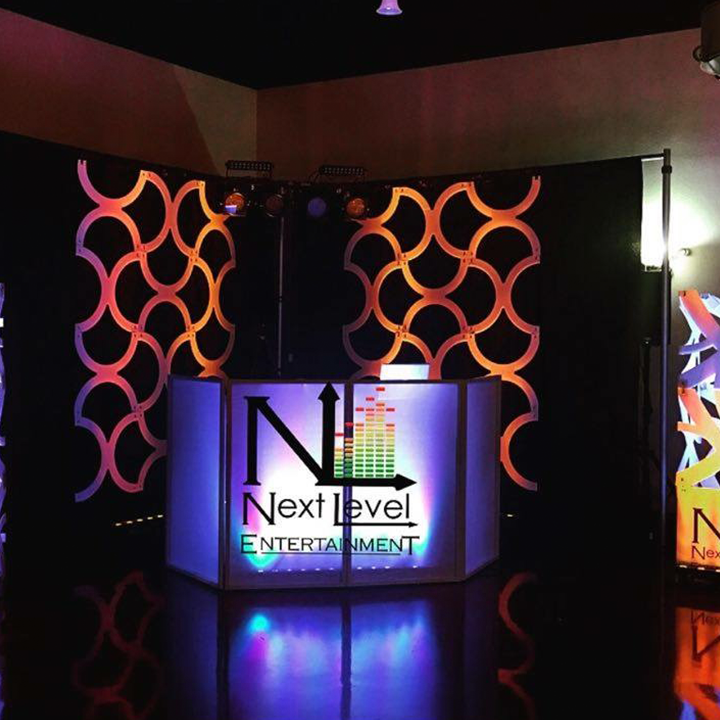 Whether we are providing a stock design or a fully engineered custom product our goal is to always exceed expectations. 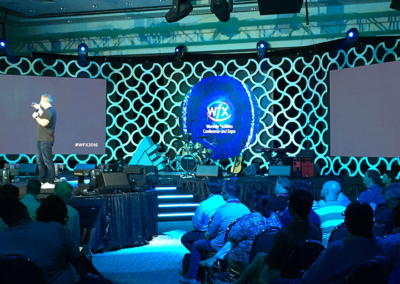 You can see further examples of our incredible execution process on our contact page. 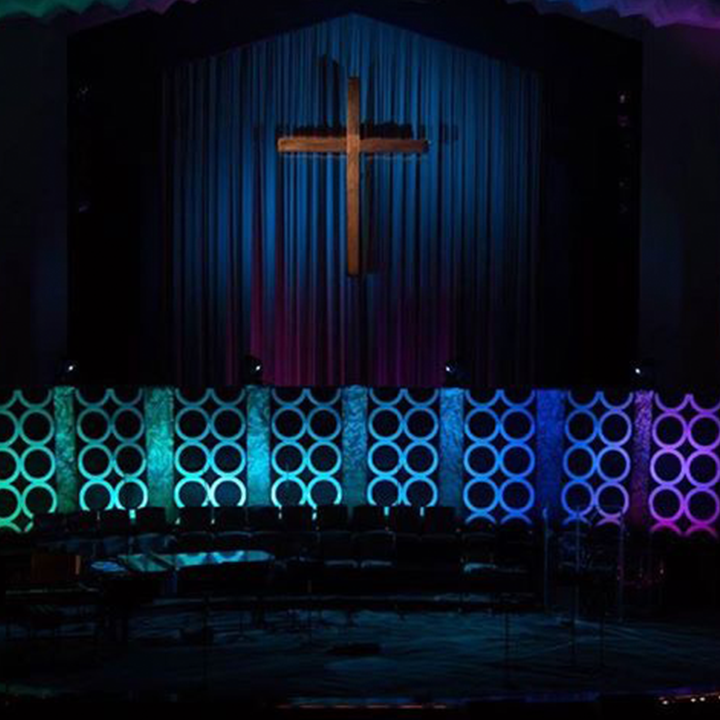 The team at Mod Scenes has served Life.Church since 2016. 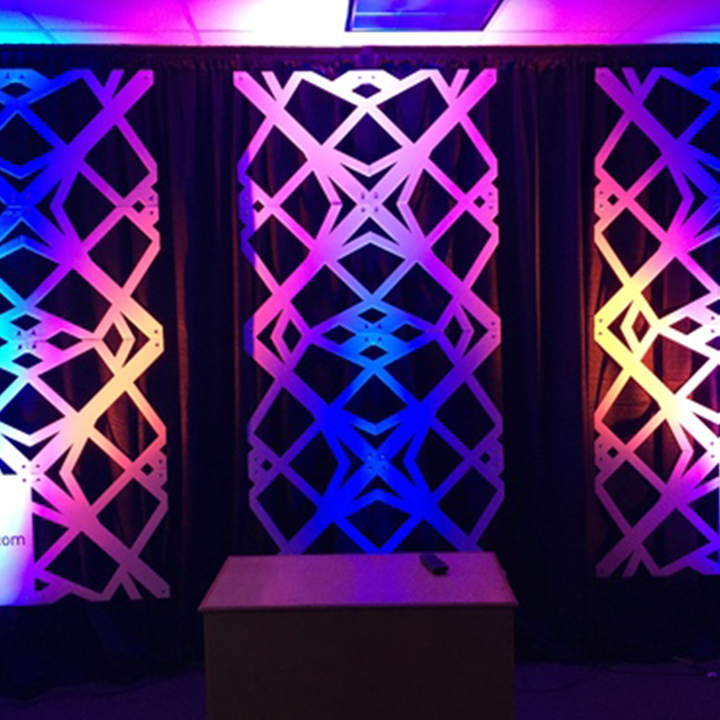 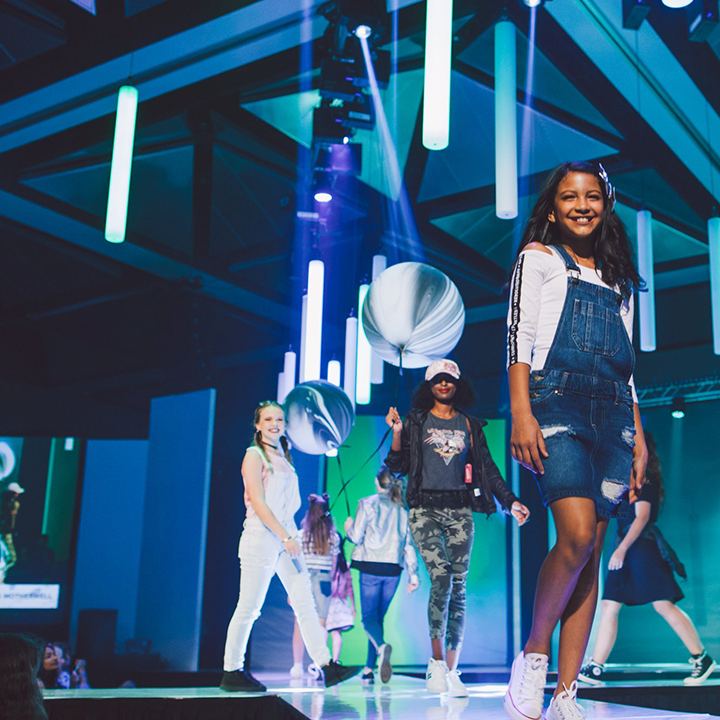 Prior to us serving them, each campus lead their stage design process. 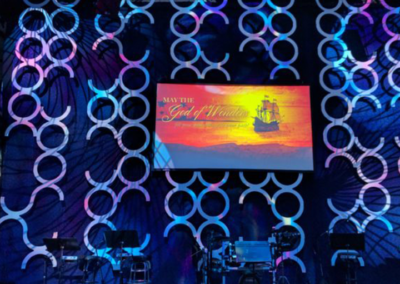 They hired several different vendors to create their stage backdrops. 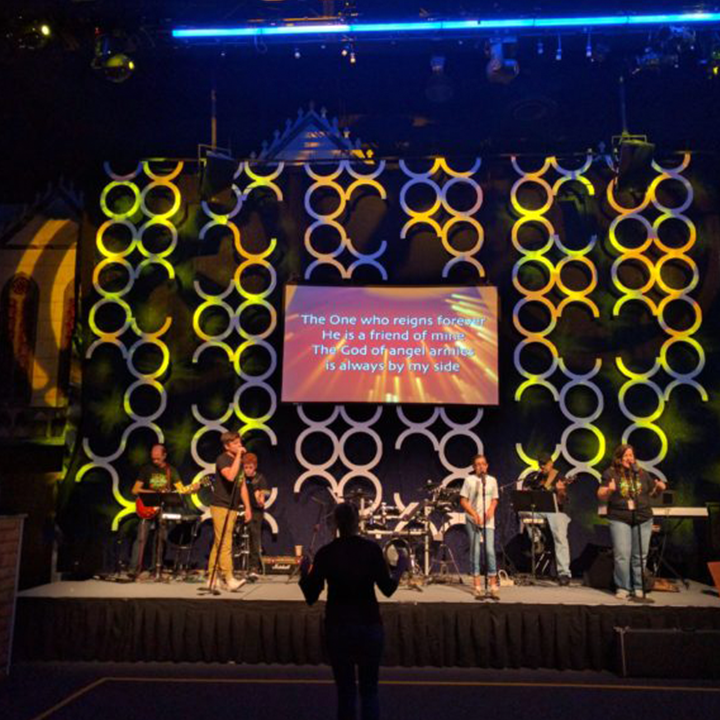 There was little consistency in feel and ability from campus to campus. 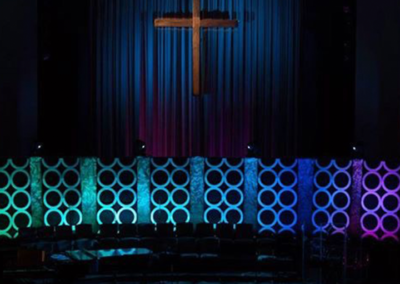 Before using Mod Scenes many of the stage designs present at Life.Church had a varying quality and length of useability. 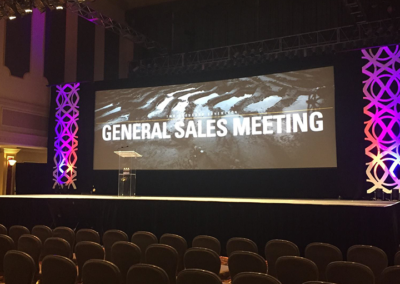 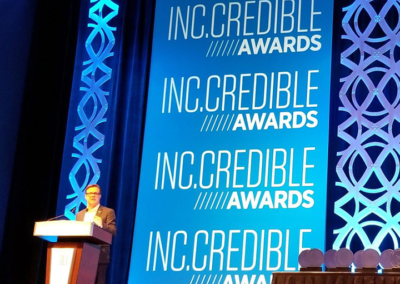 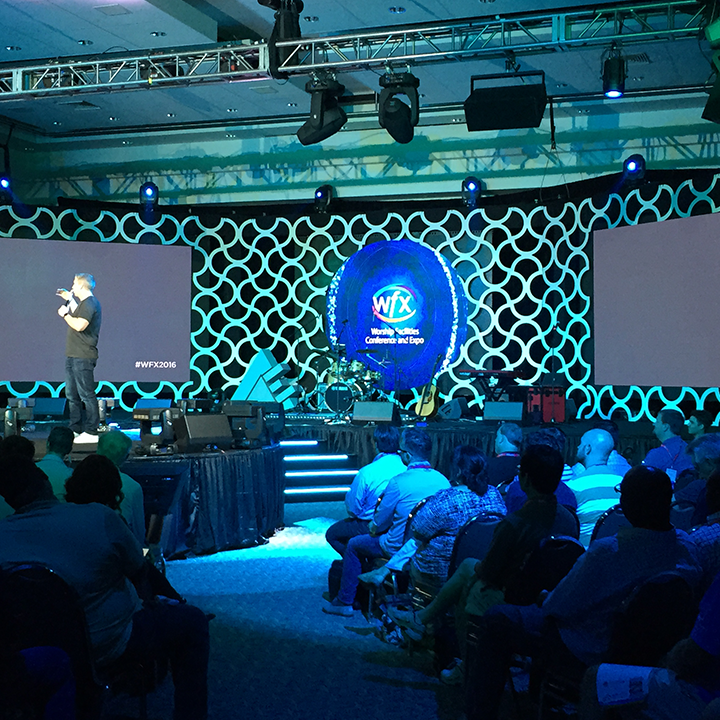 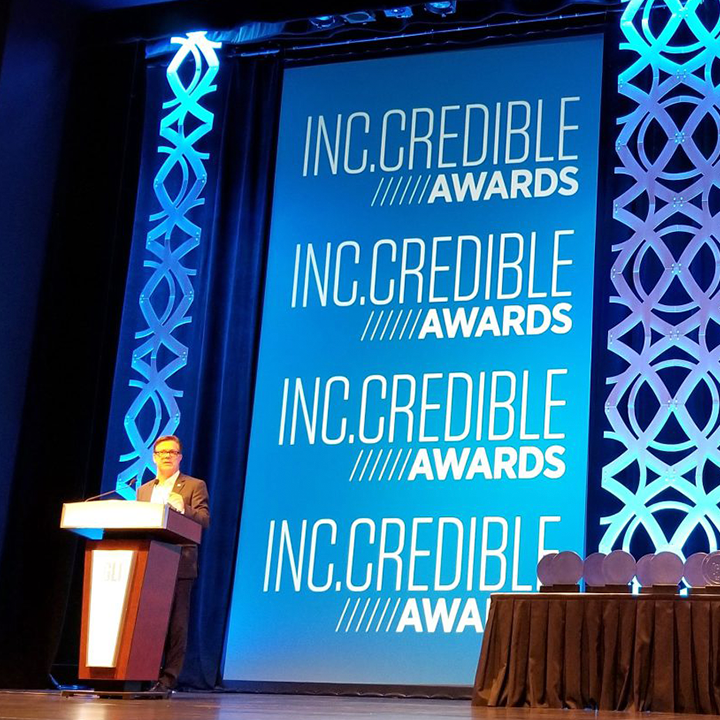 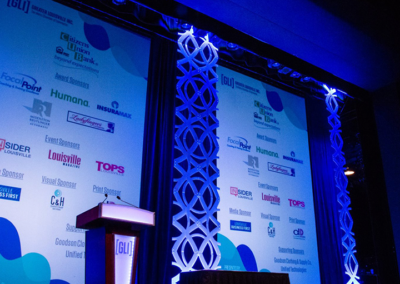 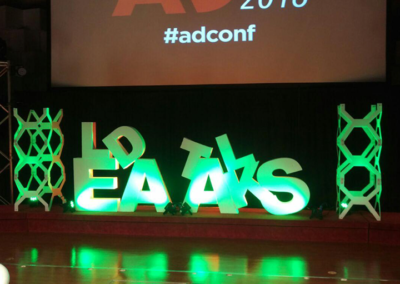 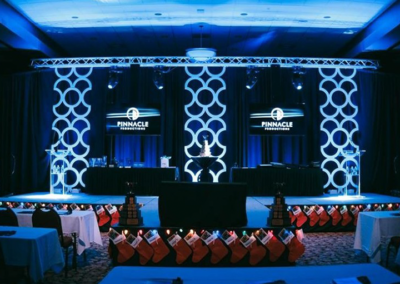 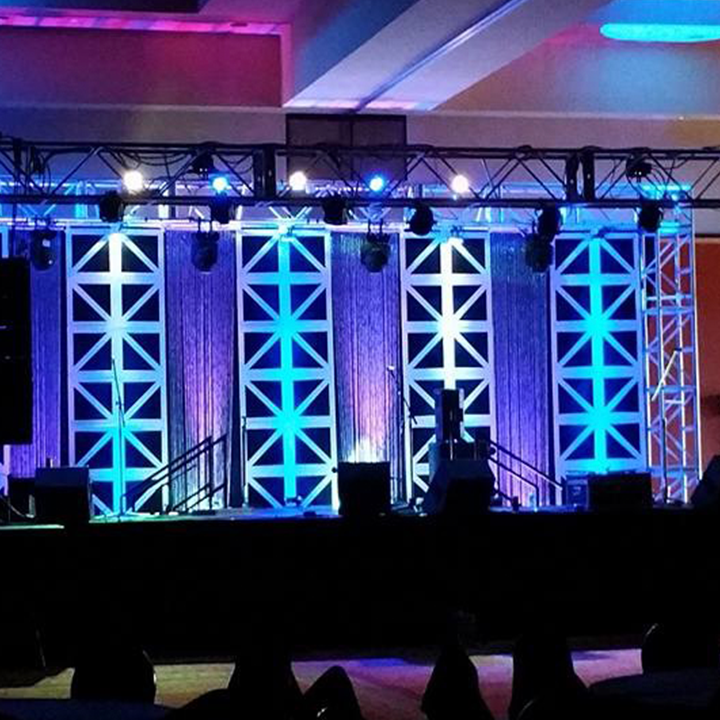 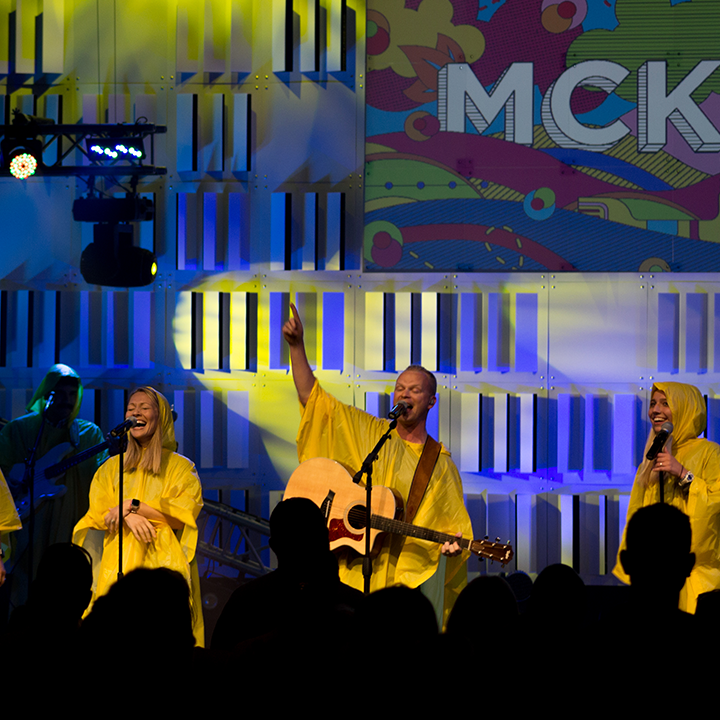 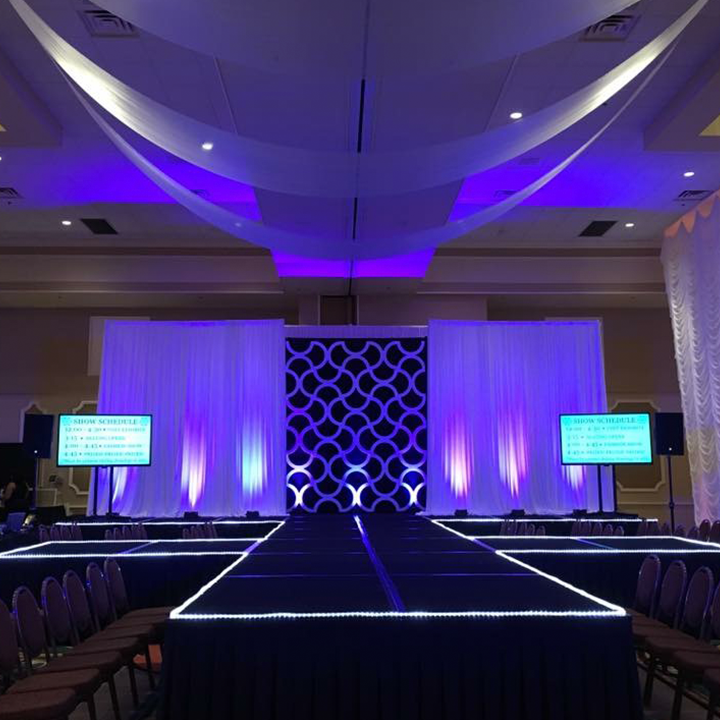 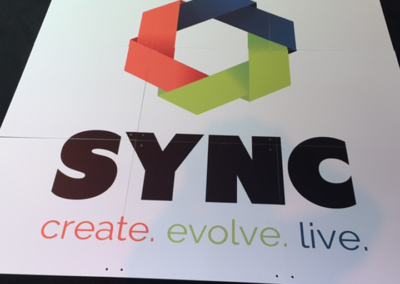 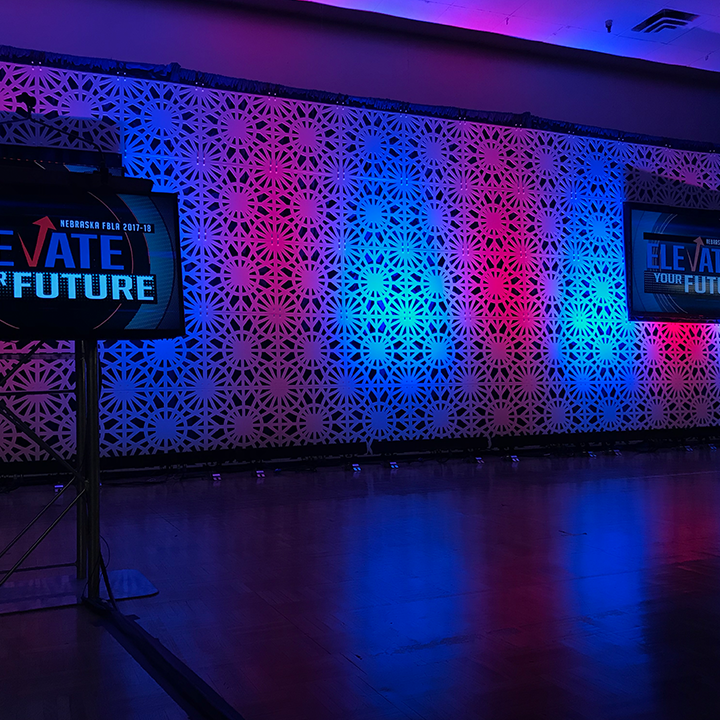 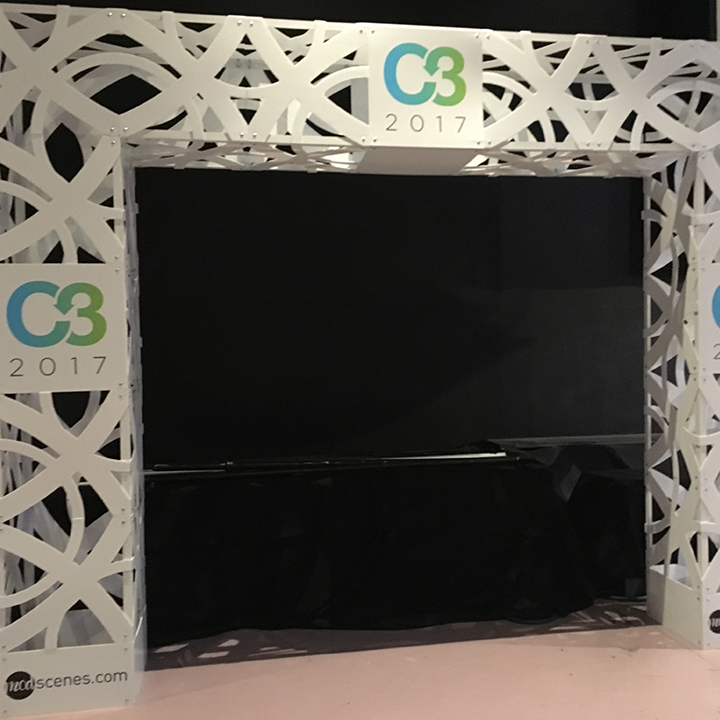 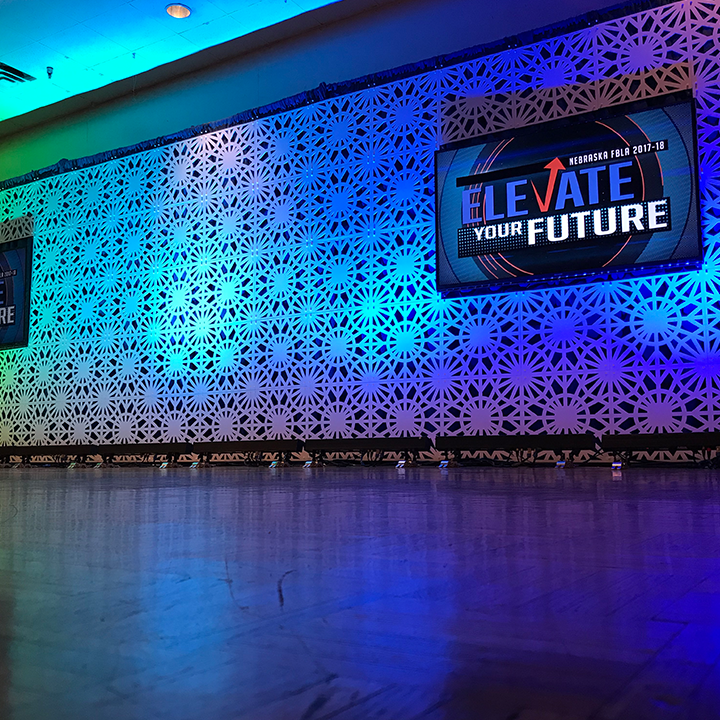 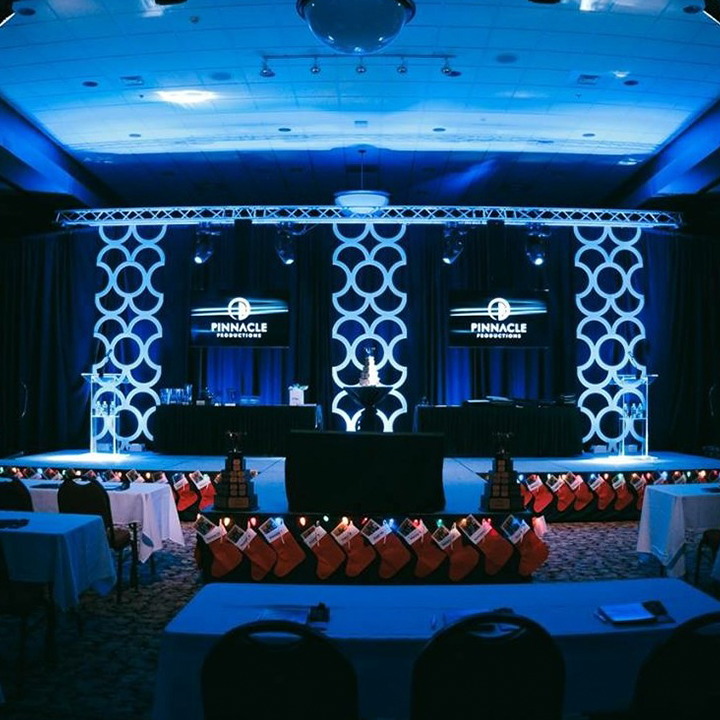 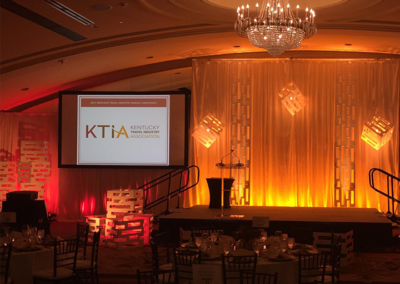 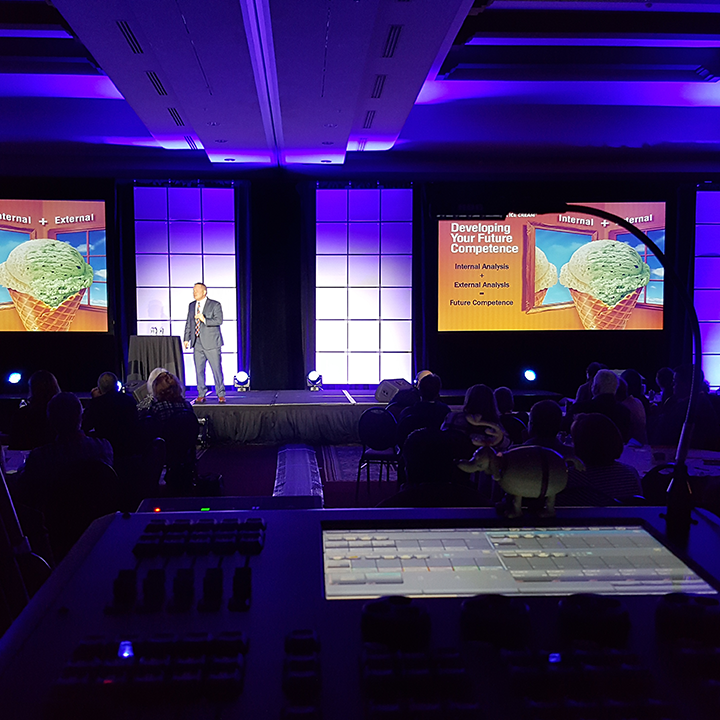 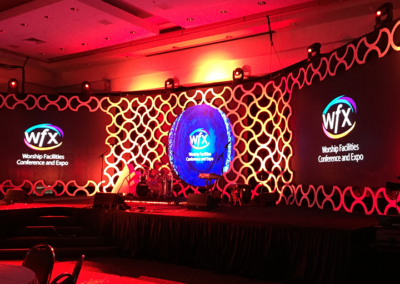 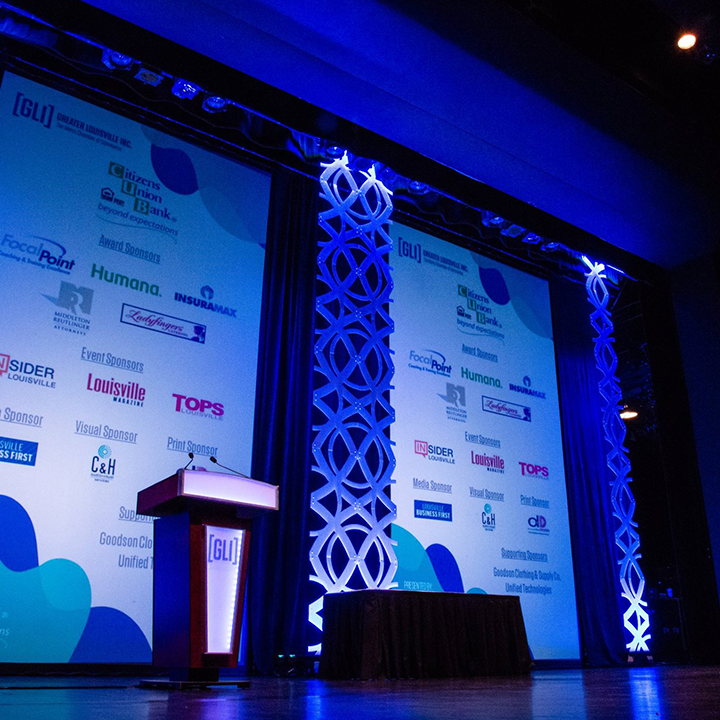 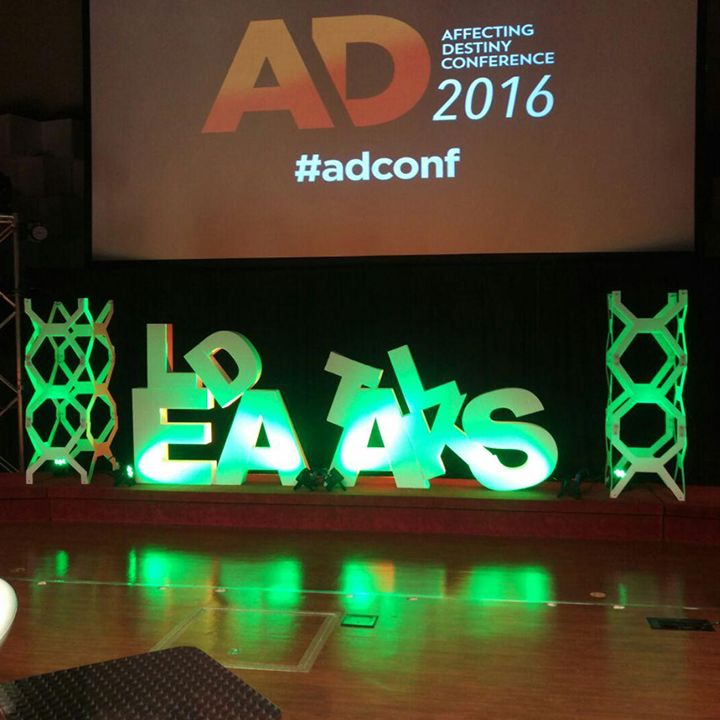 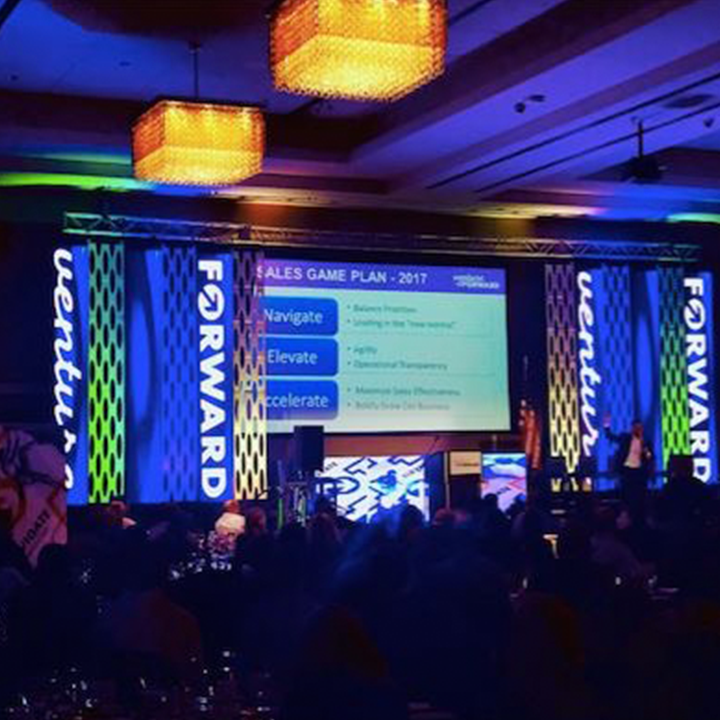 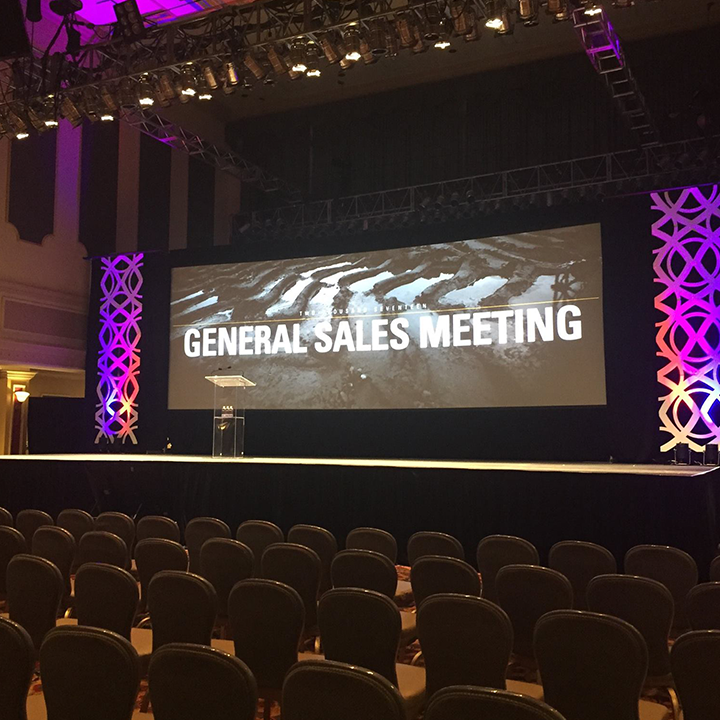 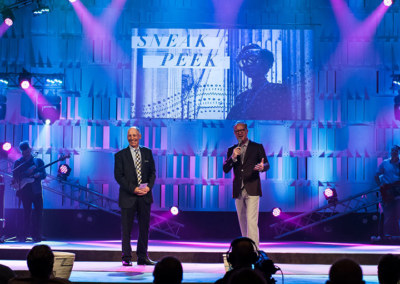 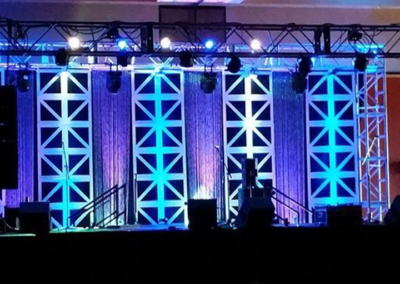 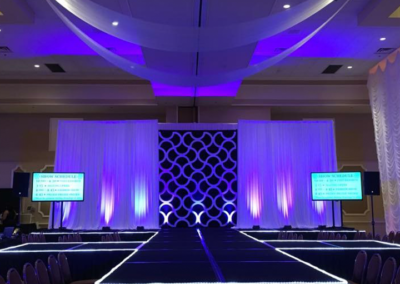 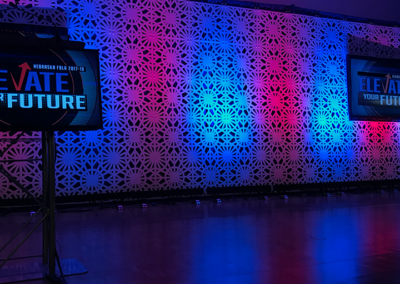 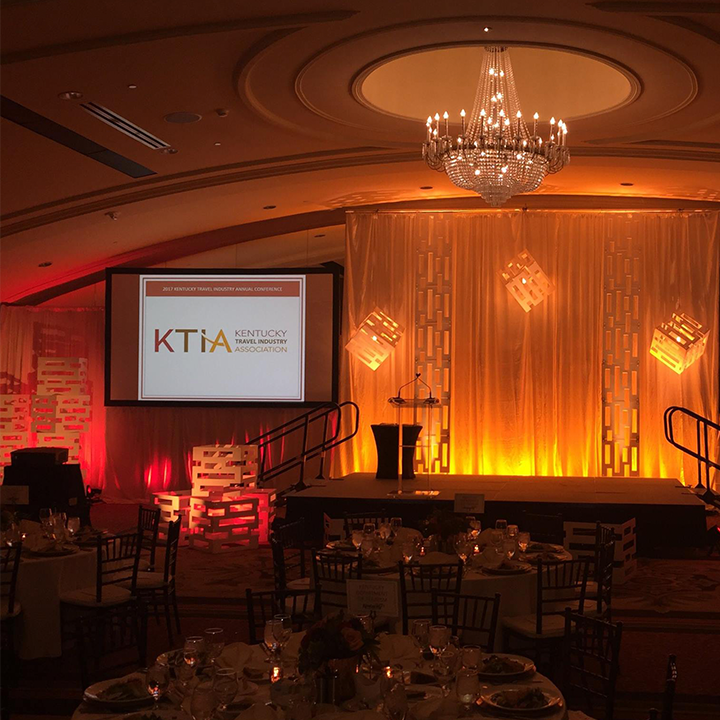 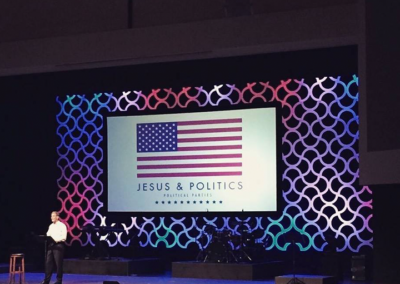 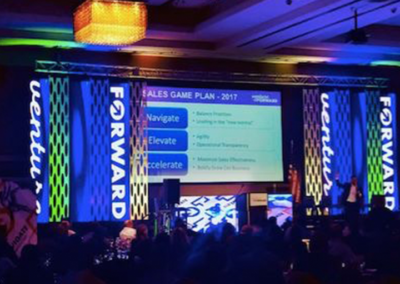 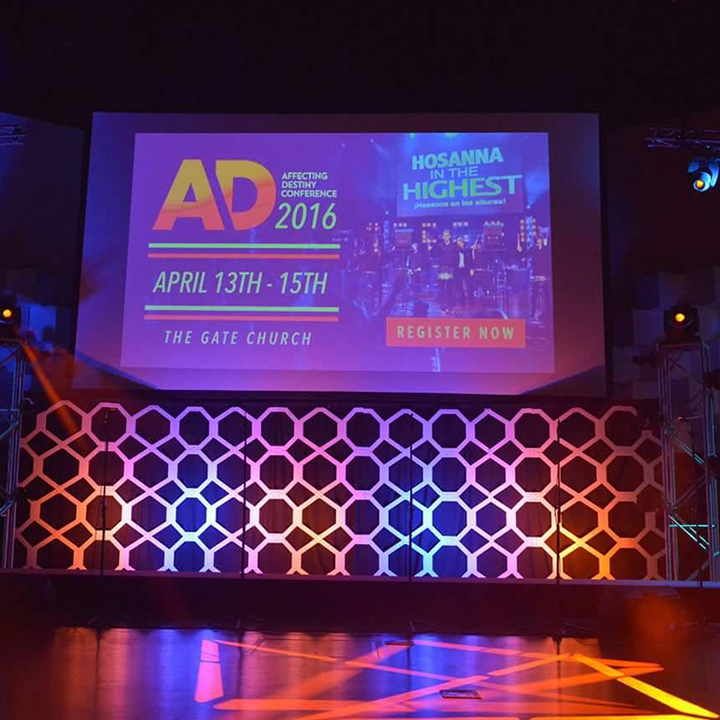 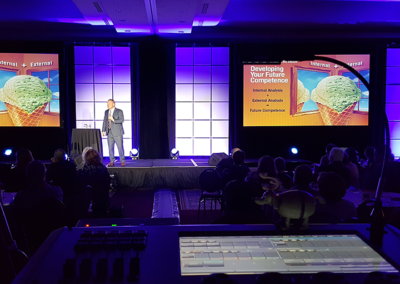 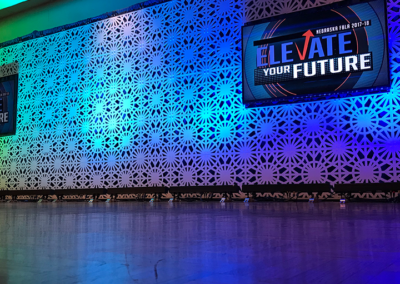 We have been thrilled to be able to help bring consistency and longevity to their stage backdrops across the country. 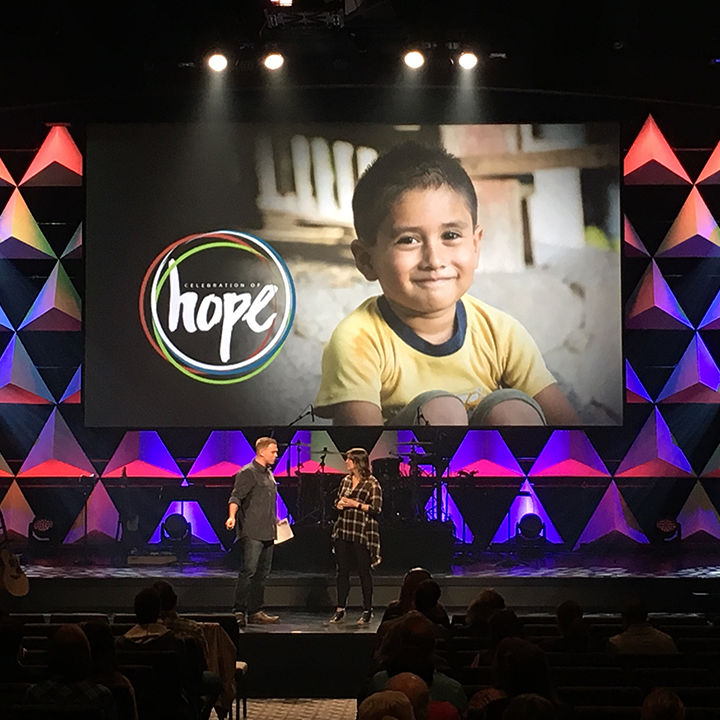 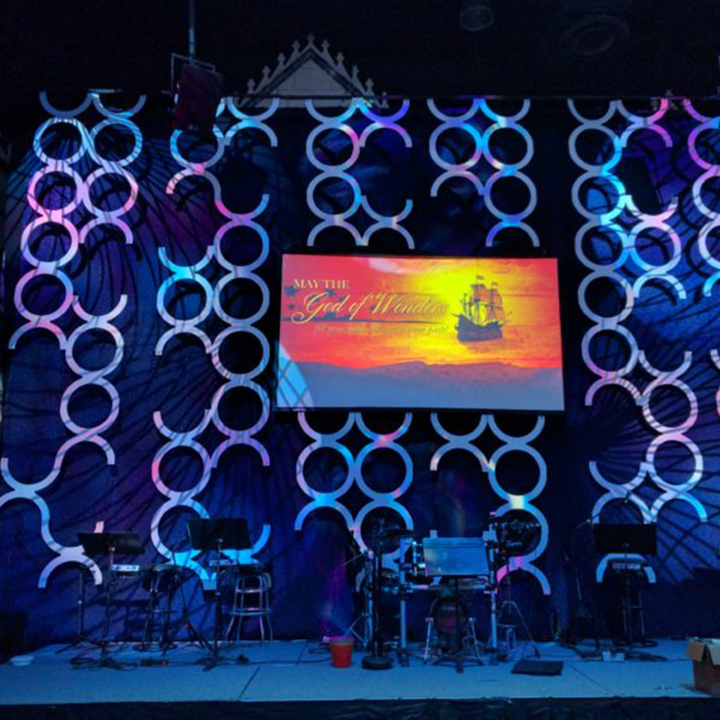 Our team served Life.Church Albany with a new set utilizing our Canvas projection panels. 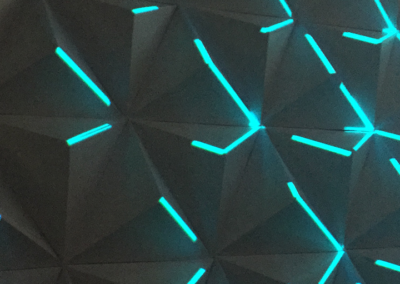 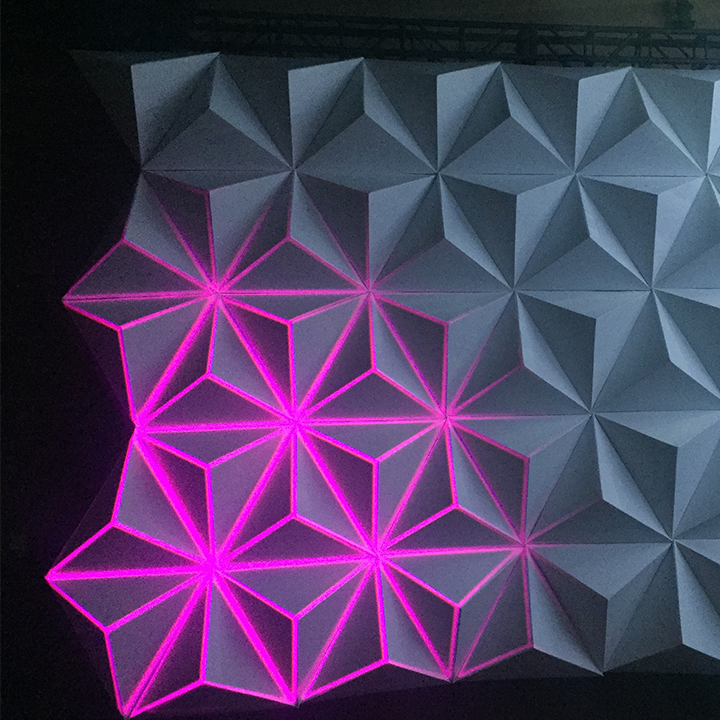 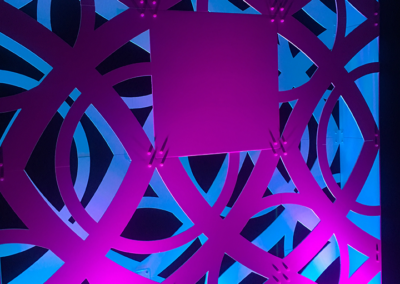 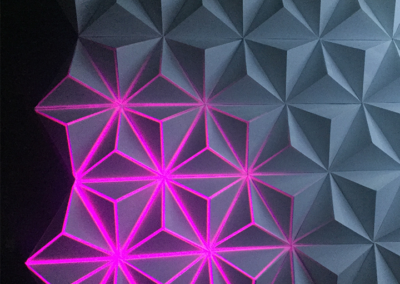 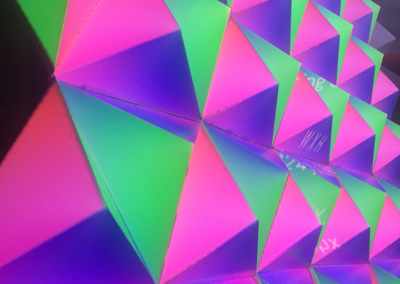 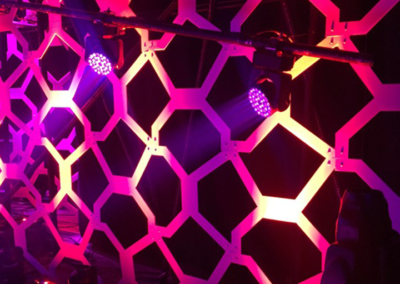 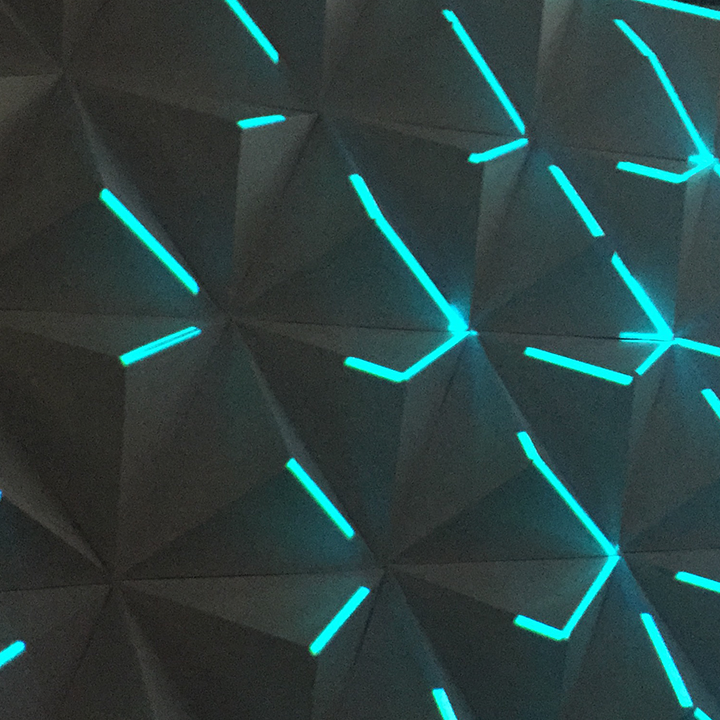 The team in Albany used these hung on a 45-degree angle to create a unique projection surface. 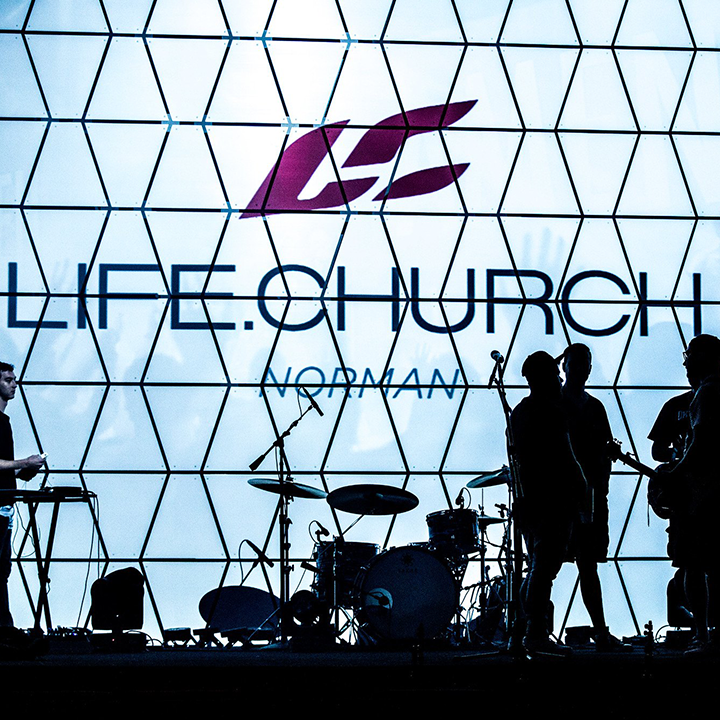 Shortly after, we served Life.Church by creating their stage designs for their northwest Oklahoma City campus and the Moore campus. 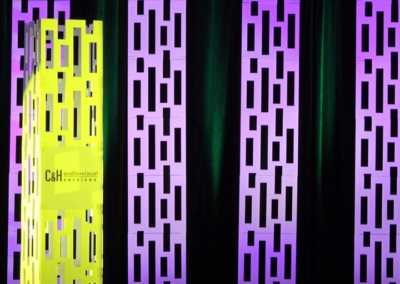 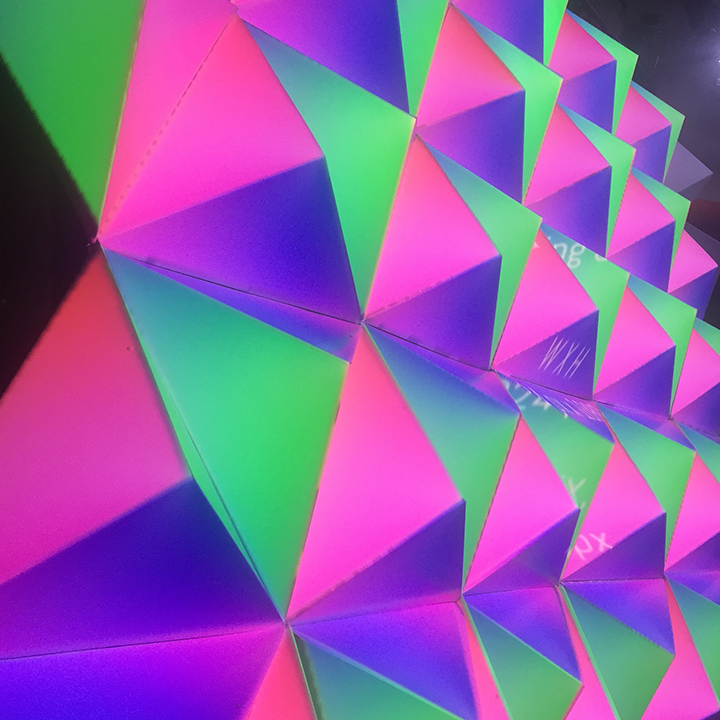 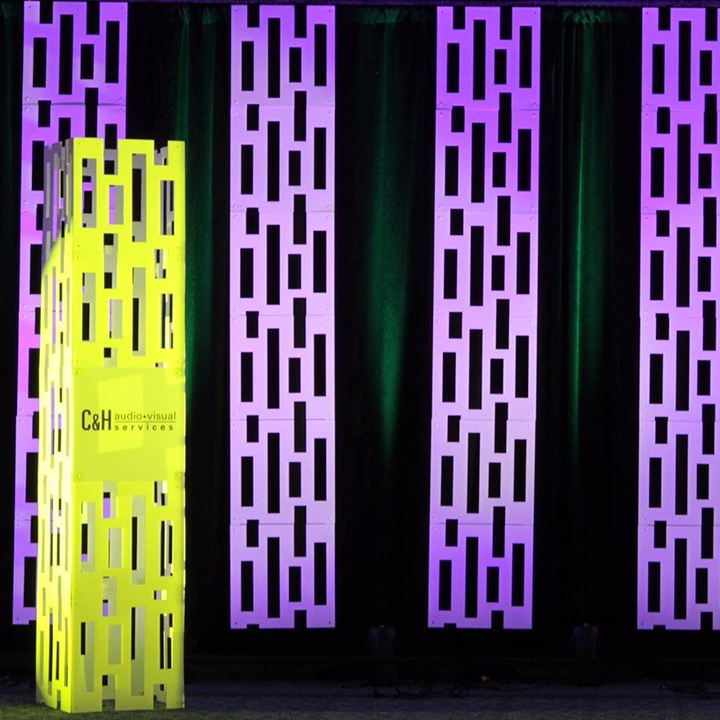 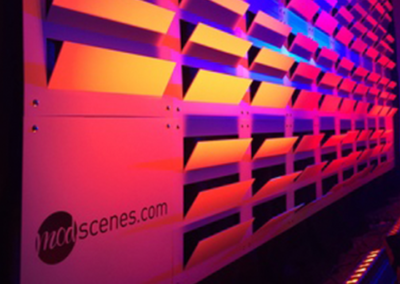 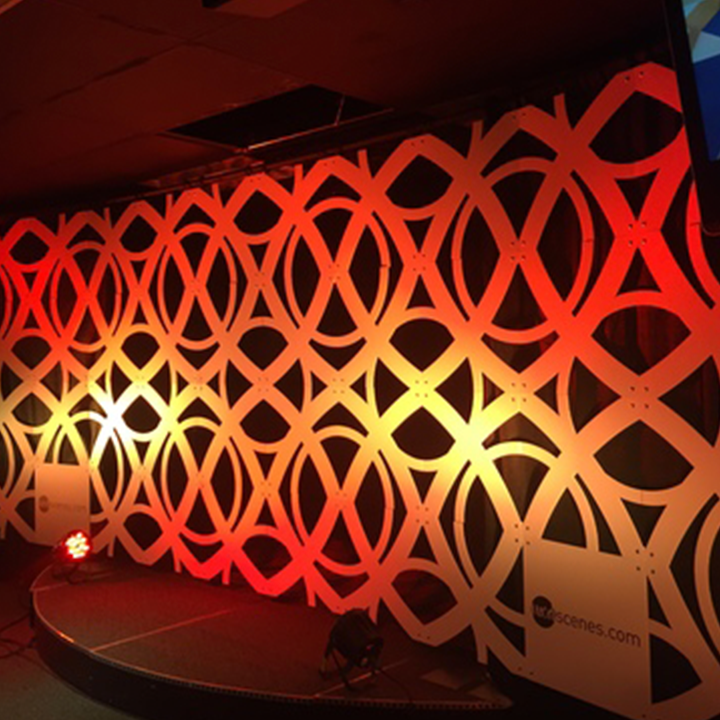 These sets utilized our Triangle projection surface and canvas panels. 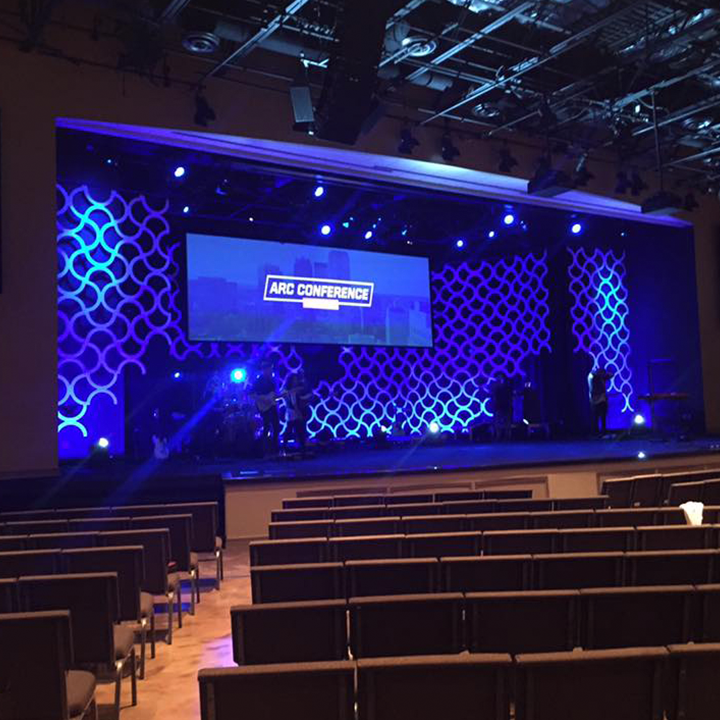 Following this we helped the team at Life.Church create the keystone panel. 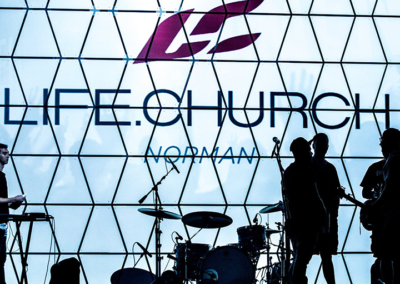 We used this panel to outfit the new Norman campus for Life.Church. 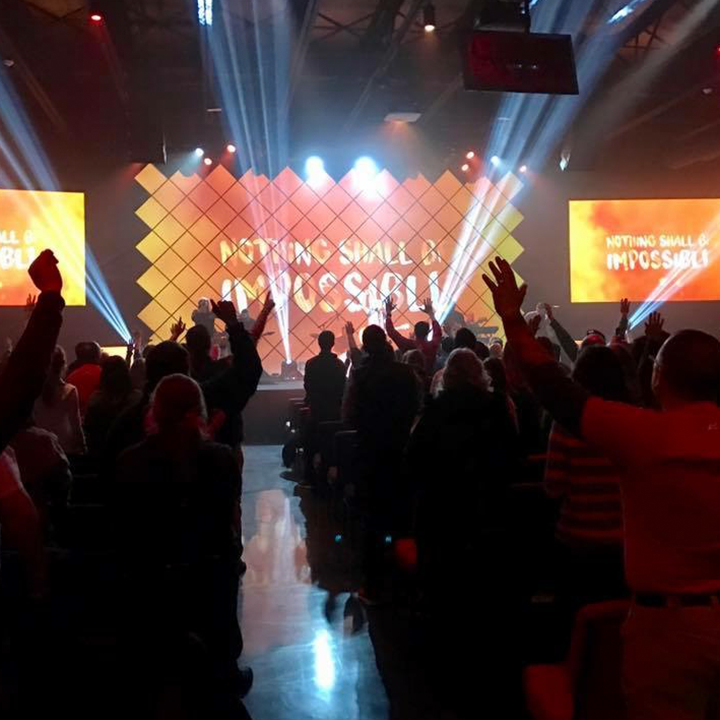 After serving the Life.Church team diligently on these designs, we were approached to help create a repeatable system for all of their campuses. 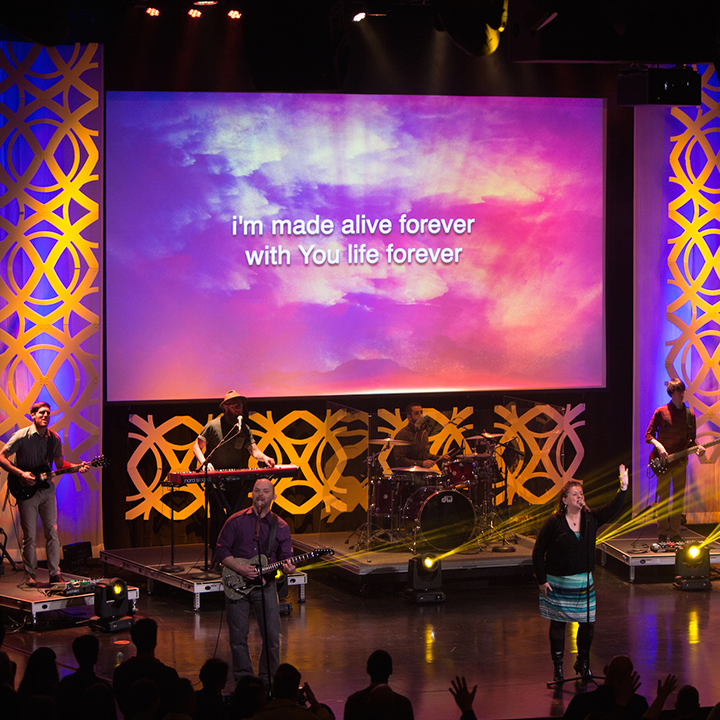 This system consisted of new sets for 20 of the remaining Life.Church campuses. 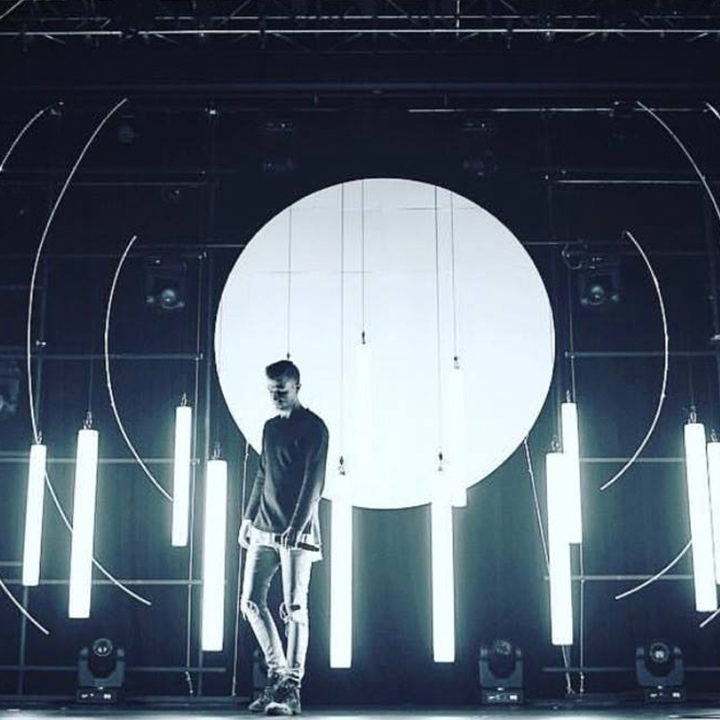 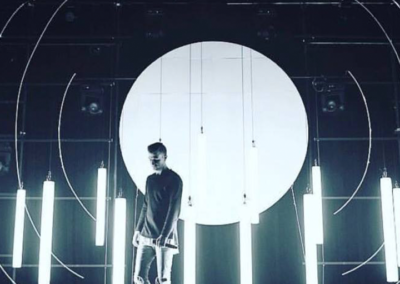 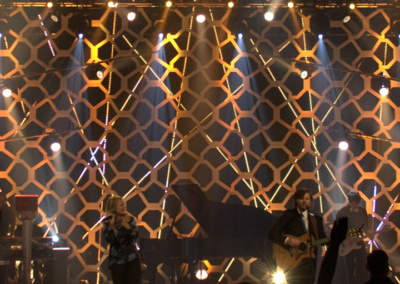 Each set was created as a 32’x18’ backdrop that is used as a projection backdrop for their stage. 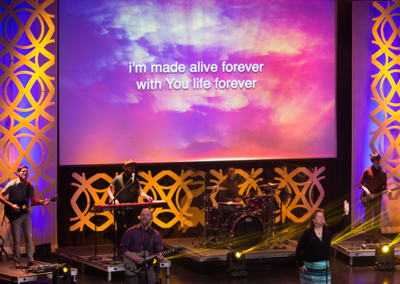 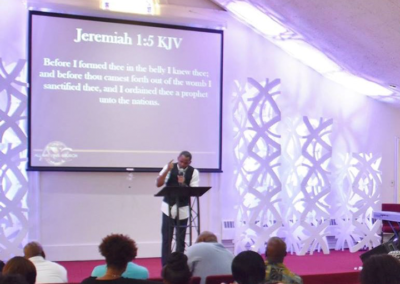 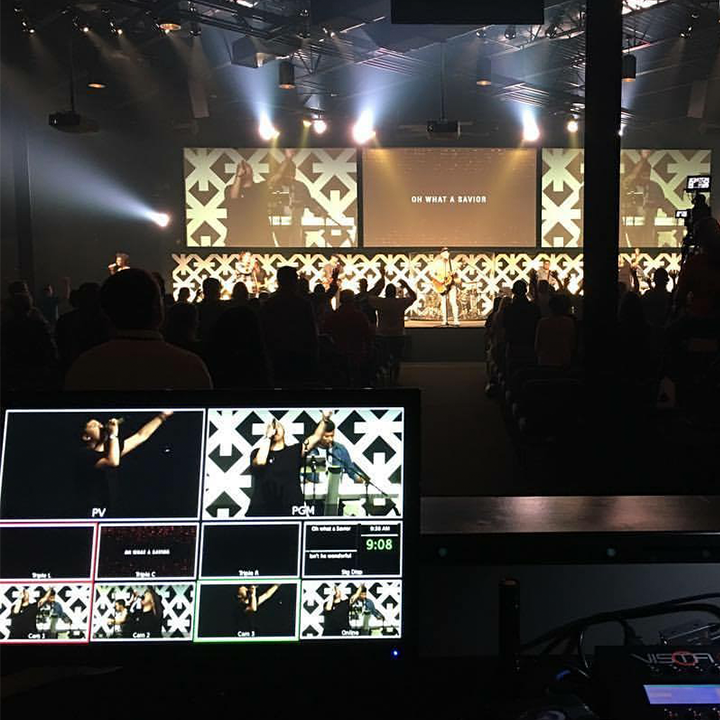 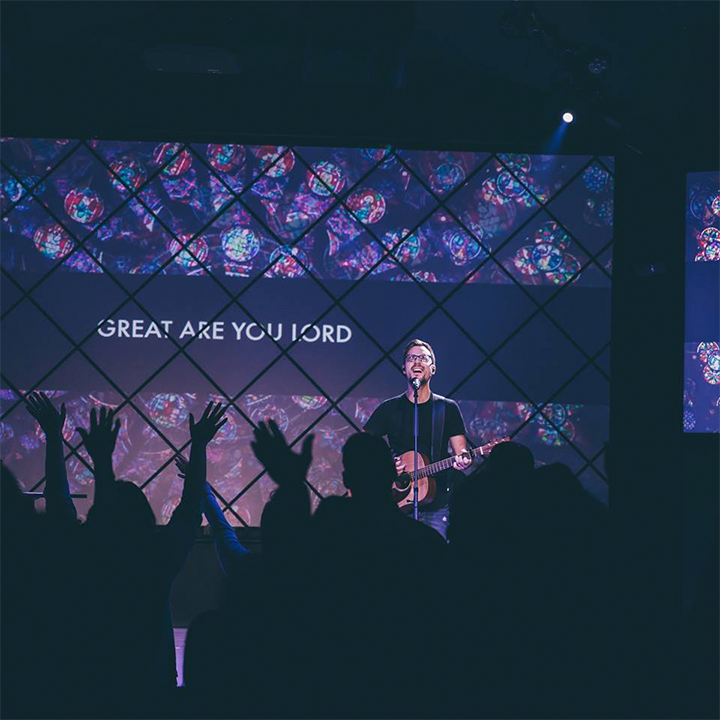 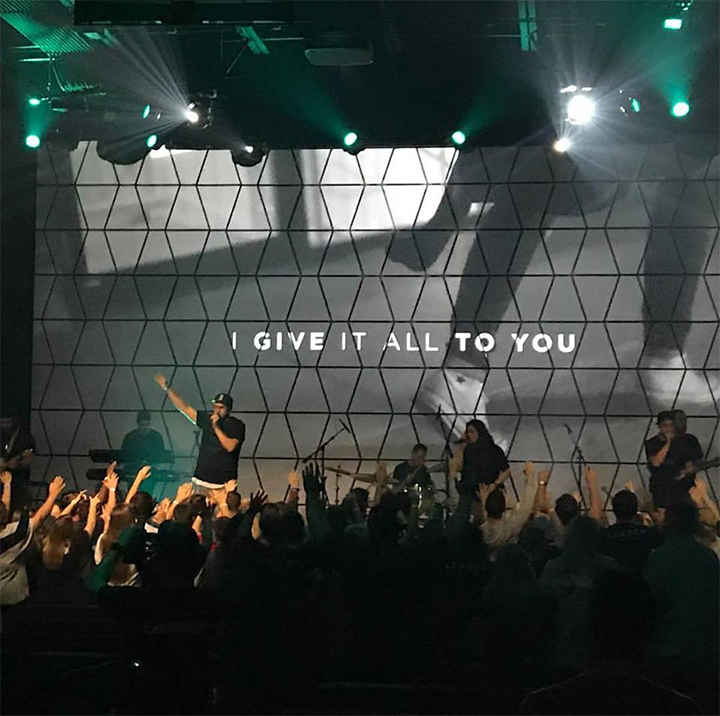 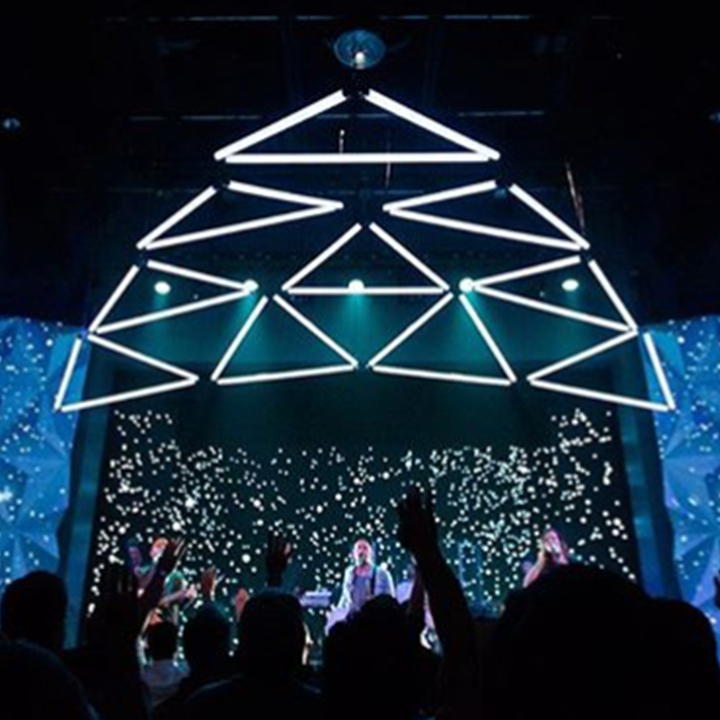 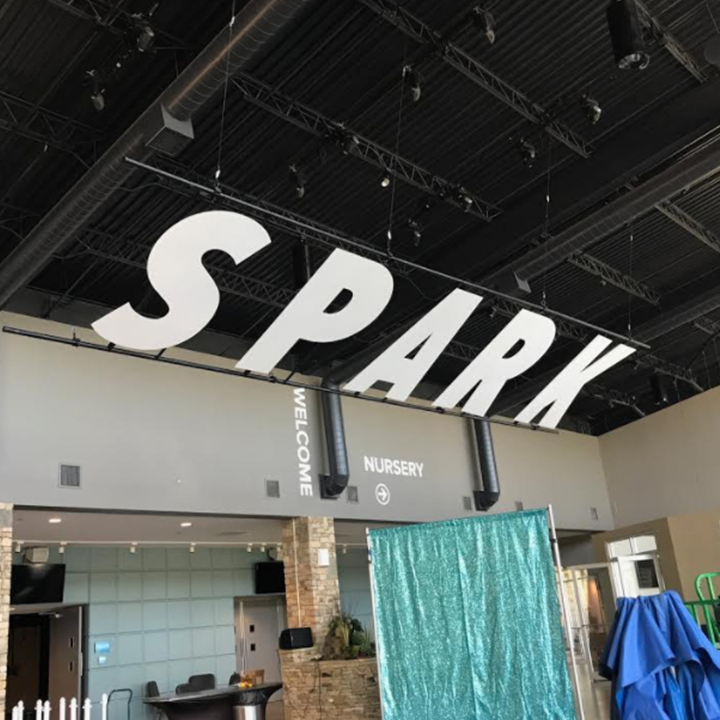 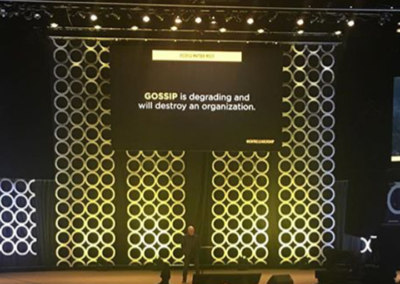 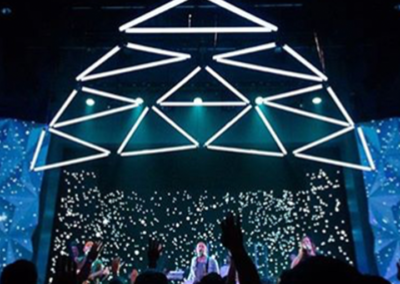 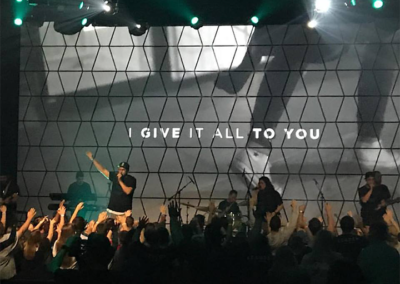 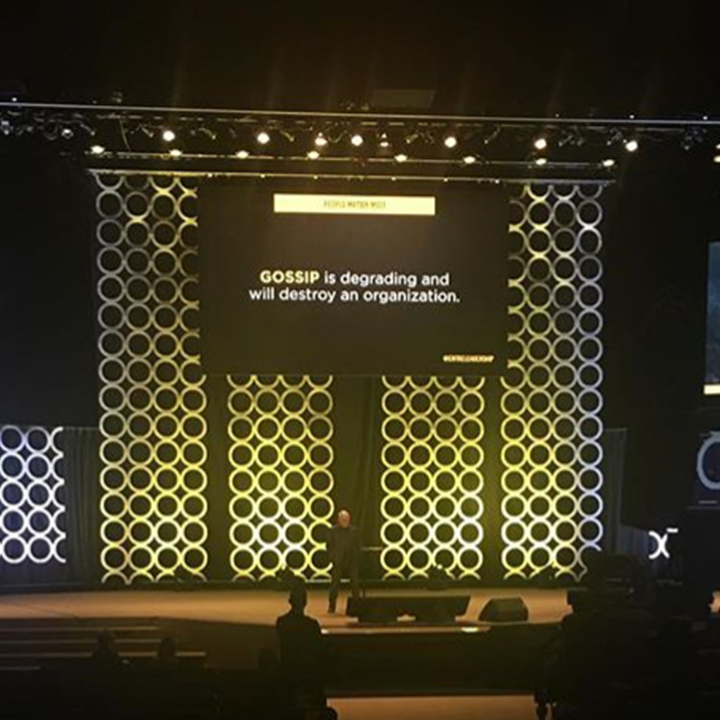 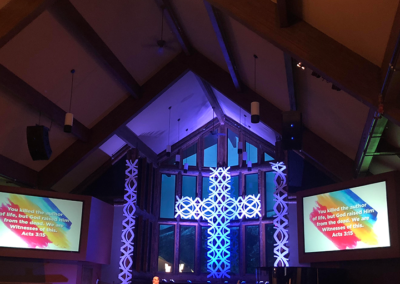 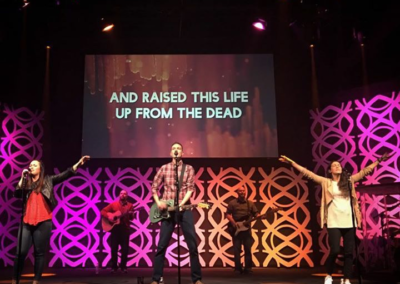 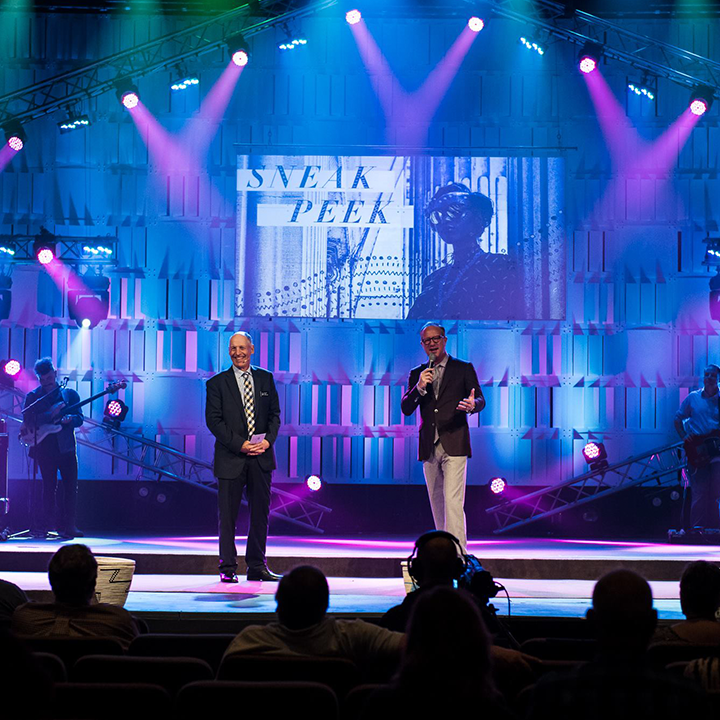 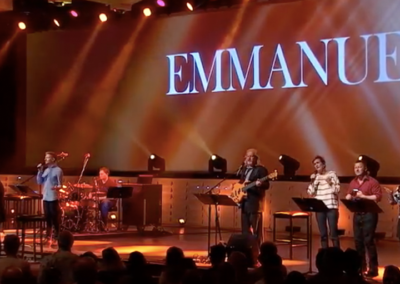 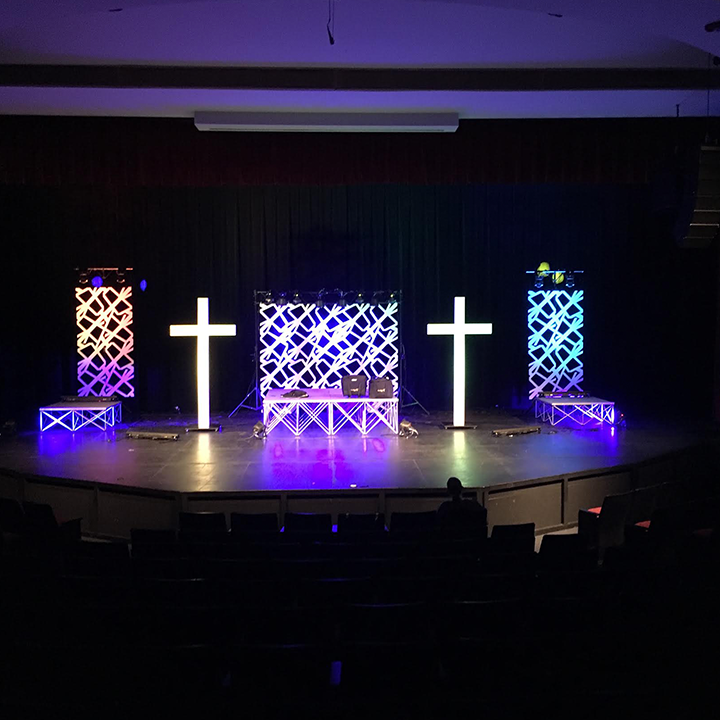 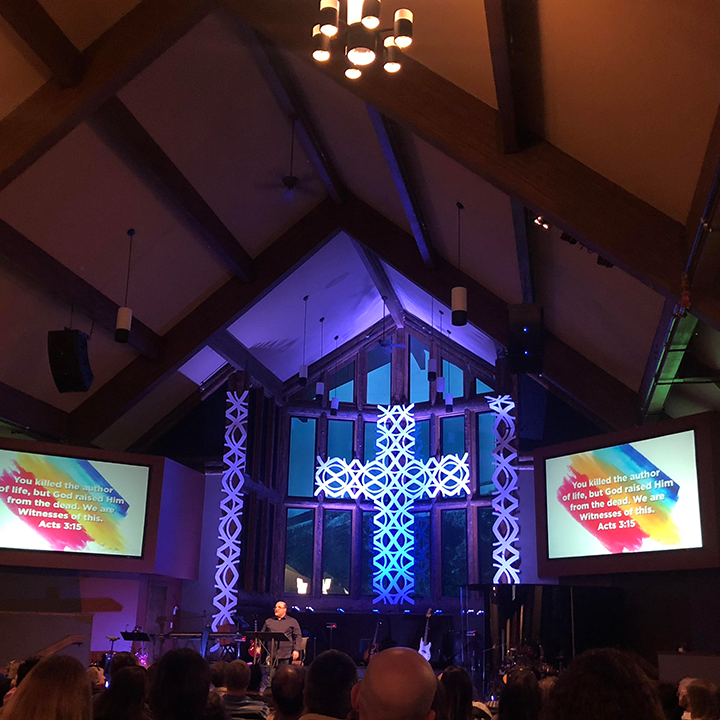 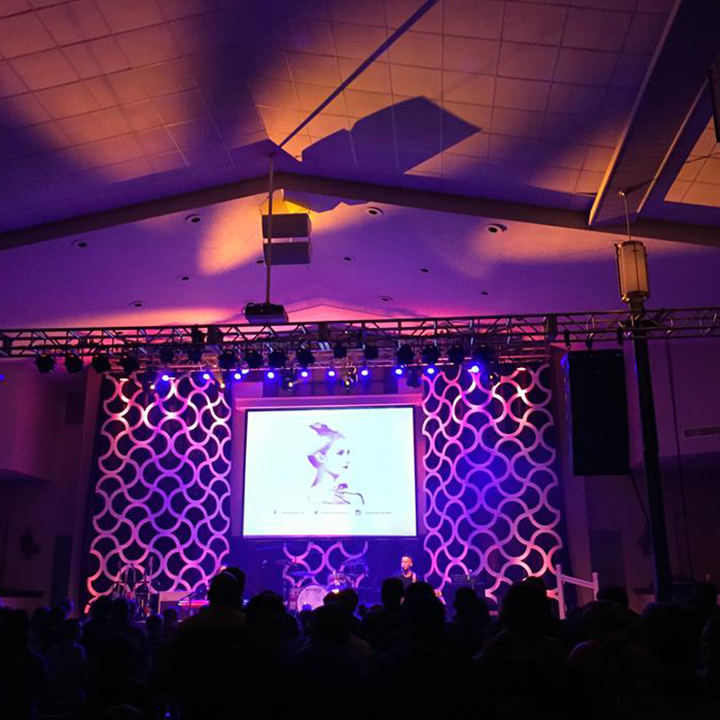 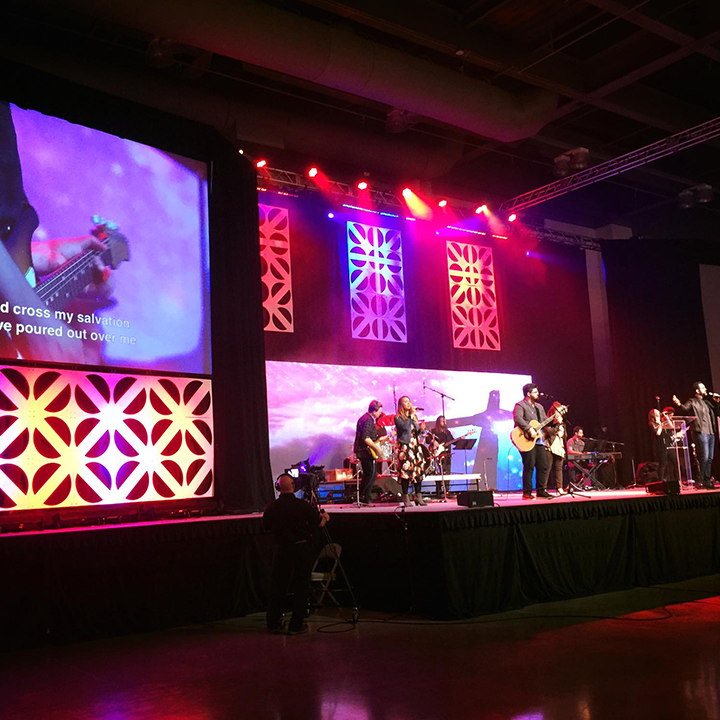 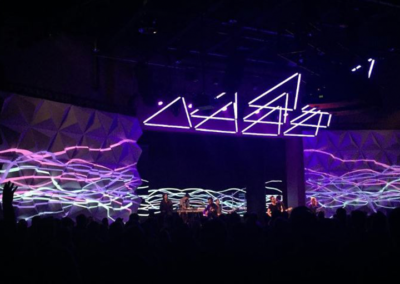 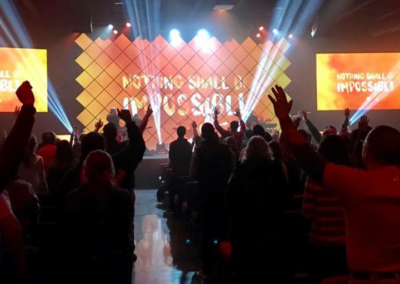 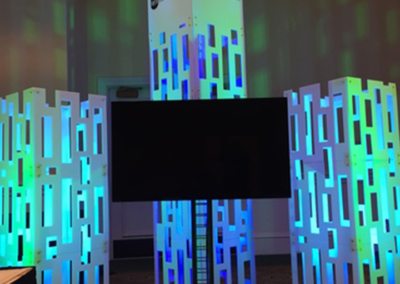 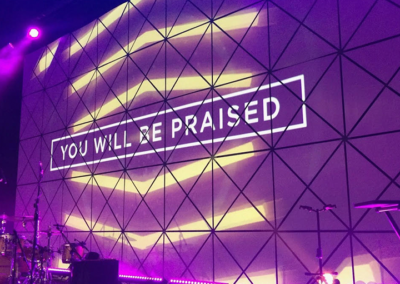 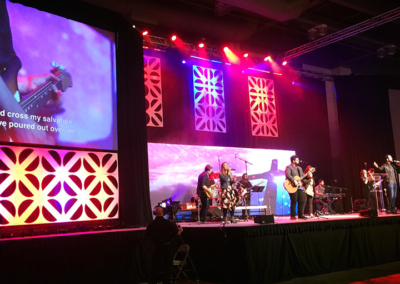 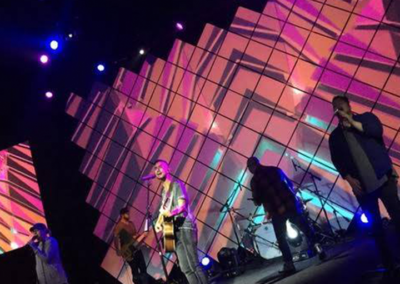 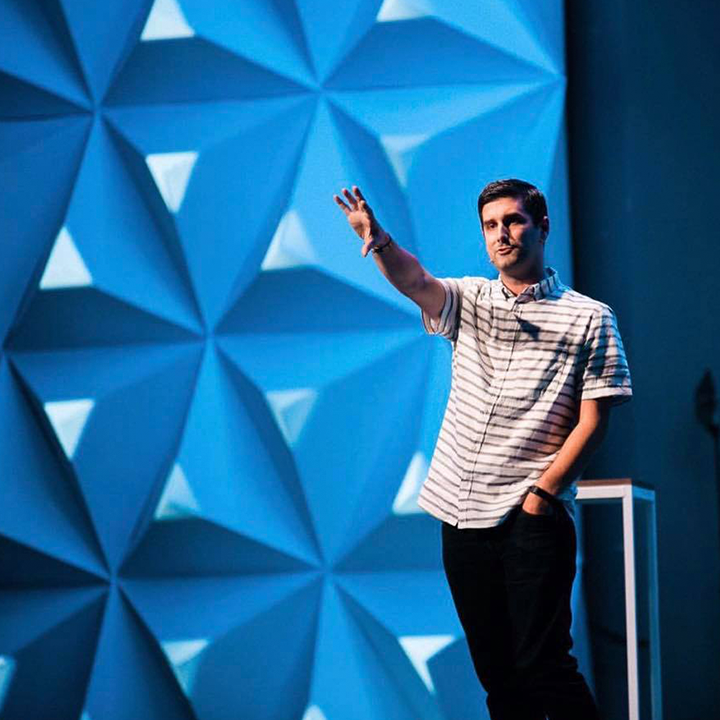 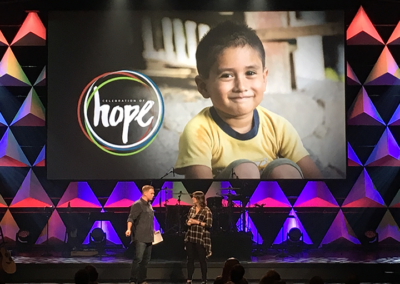 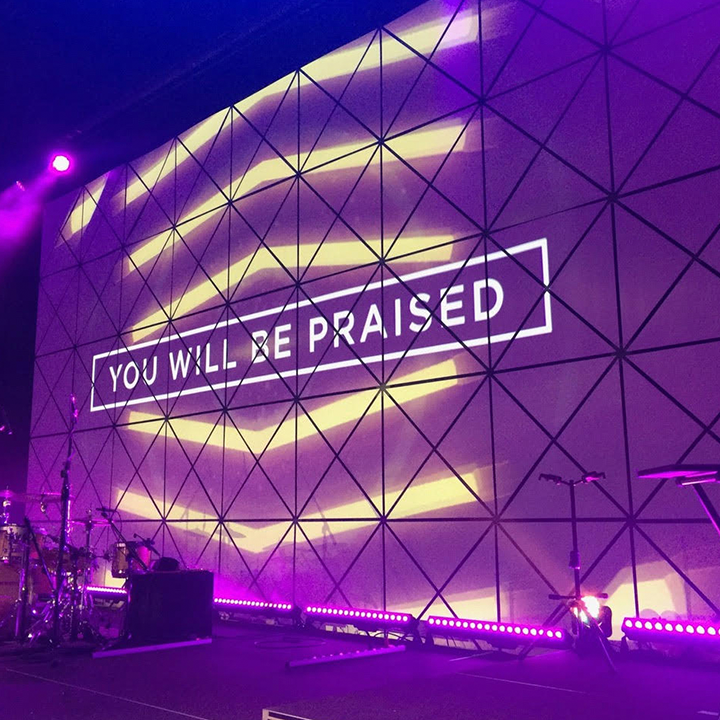 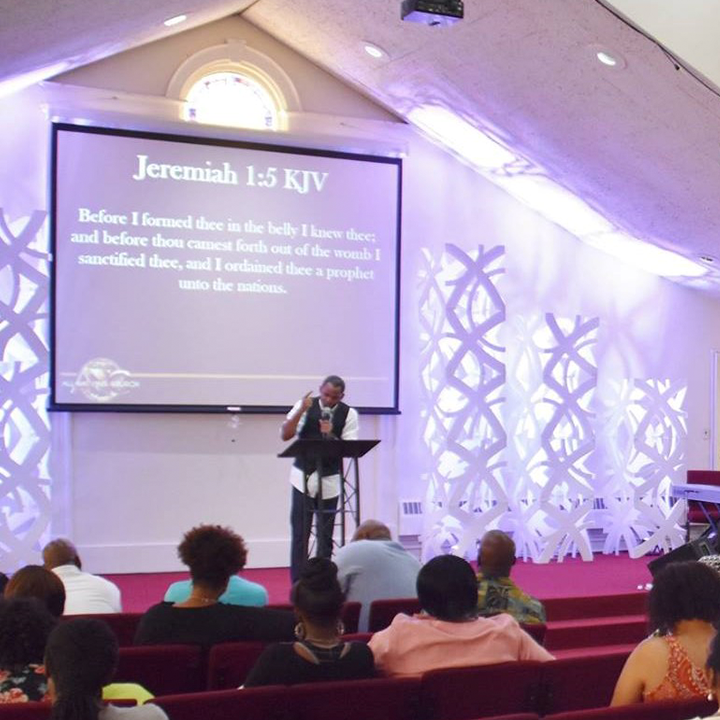 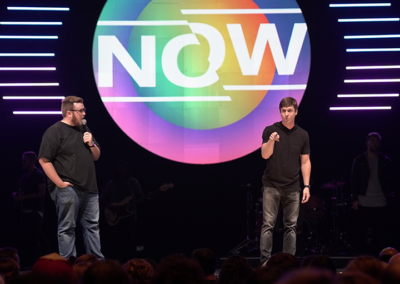 The team at Summit integrated systems served Life.church with the projection and technology aspects for each of the new stage backdrop designs. 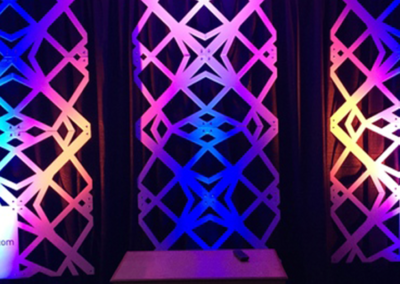 Along with utilizing some of our existing designs, we also created some additional custom designs in this process. 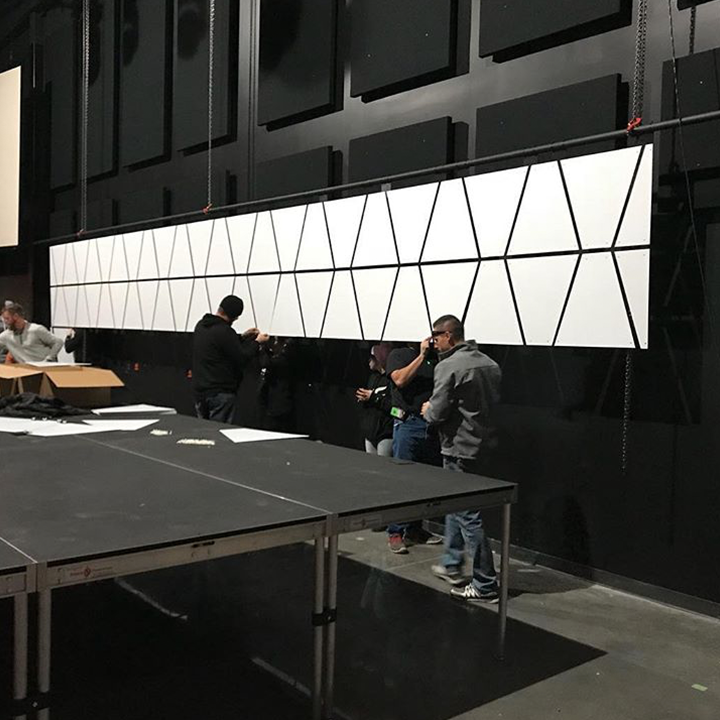 Total we provided over 7,000 panels that were packaged individually for each campus. 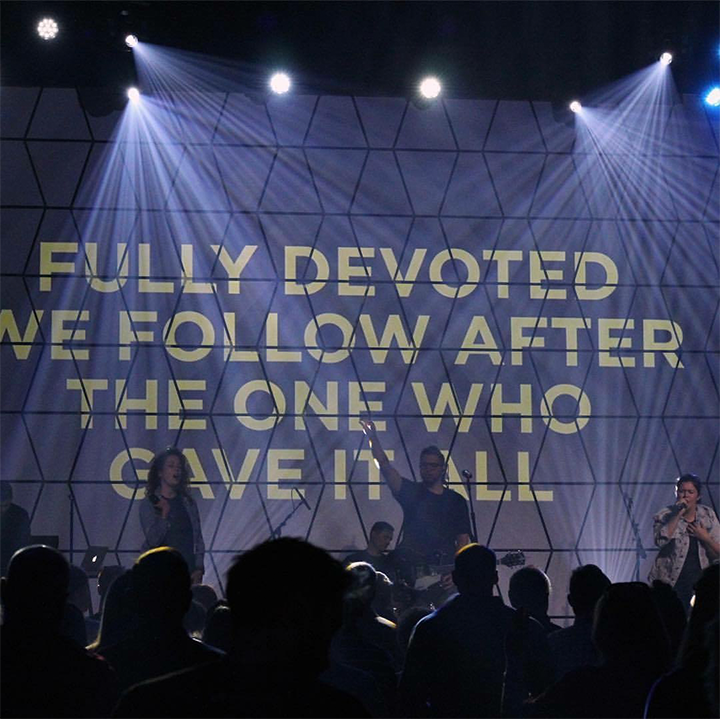 Since then, this system has served Life.Church incredibly well. 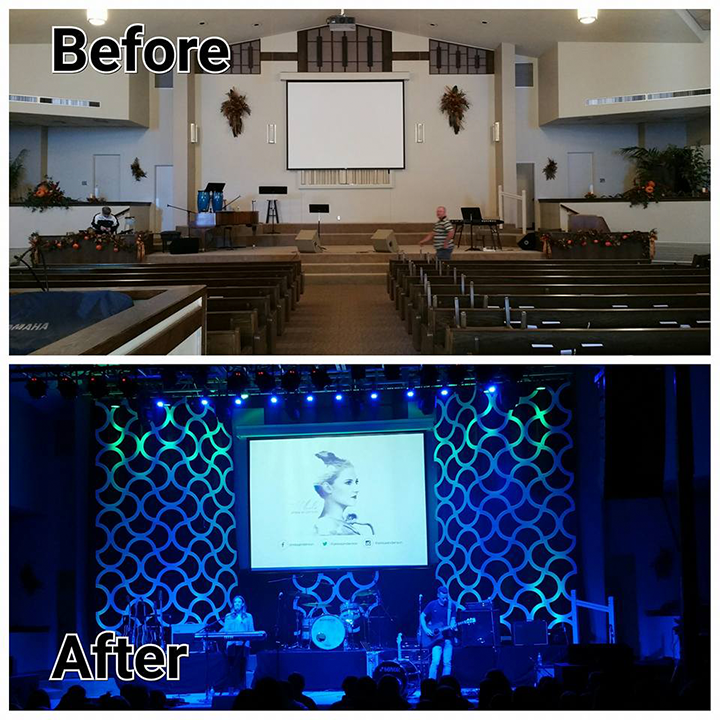 The flexibility and creative design of their new projection surfaces has transformed their spaces! 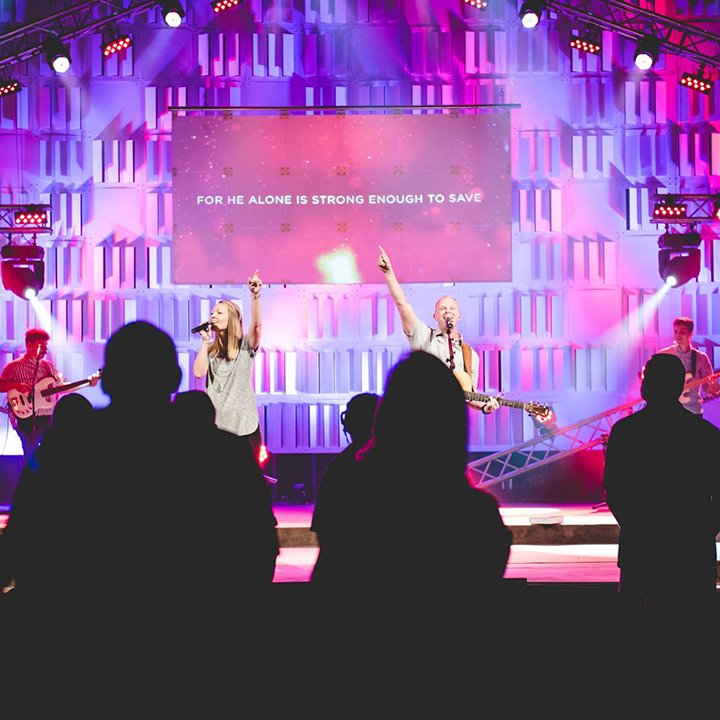 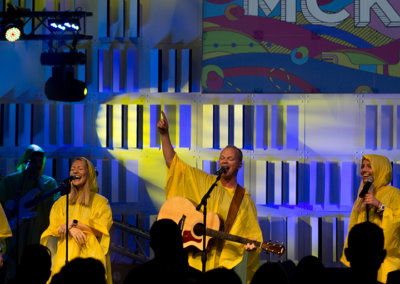 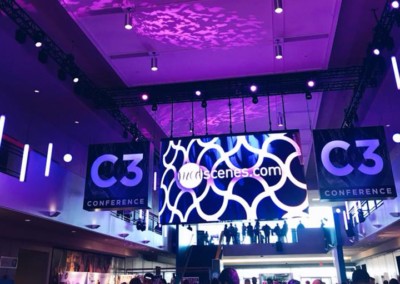 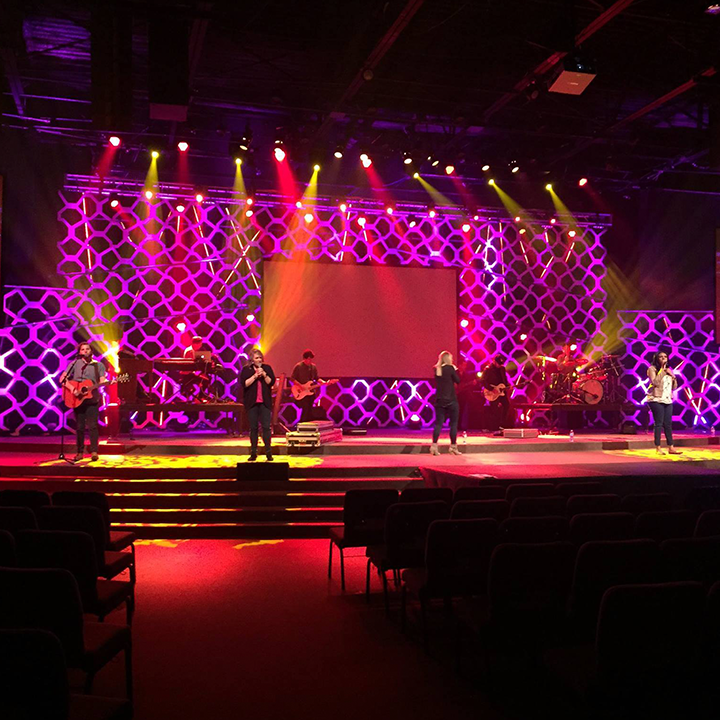 It has enhanced their atmosphere for worship and provided a unique set of backdrops that are scalable and repeatable. 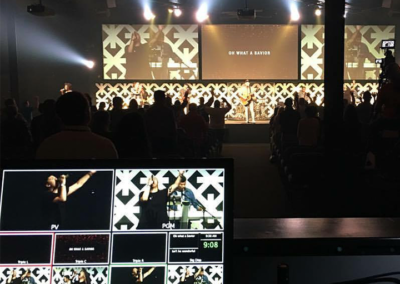 Over the past two years, we have provided 26 sets to Life.Church. 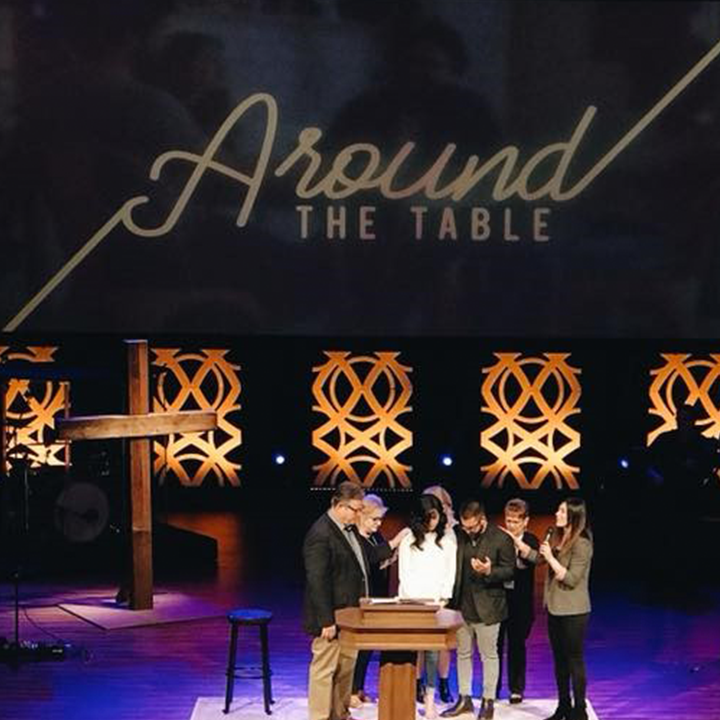 We are thrilled to serve them incredibly well and partner with them in serving the Church! 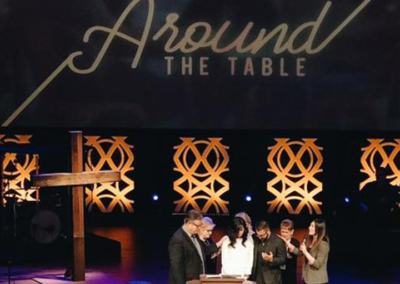 We have been serving our great friends at Church of the Highlands since 2015. 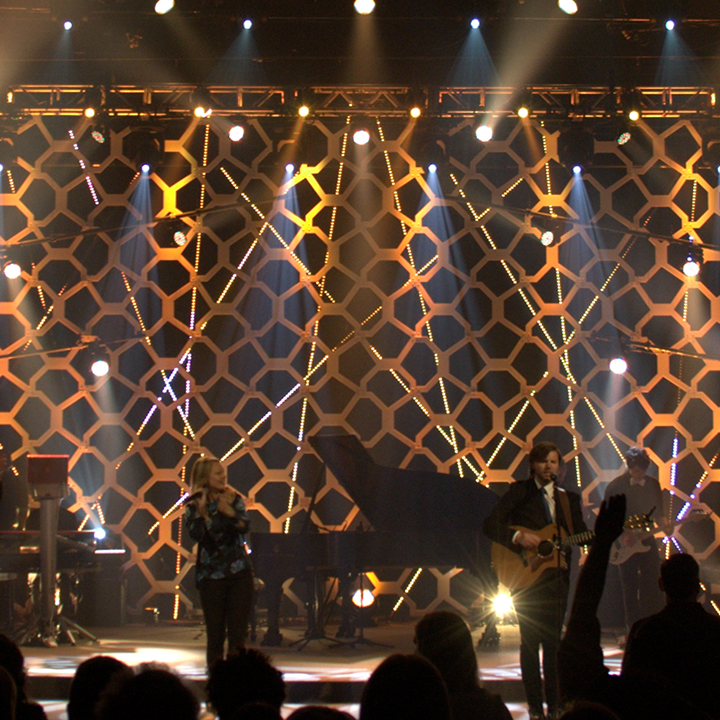 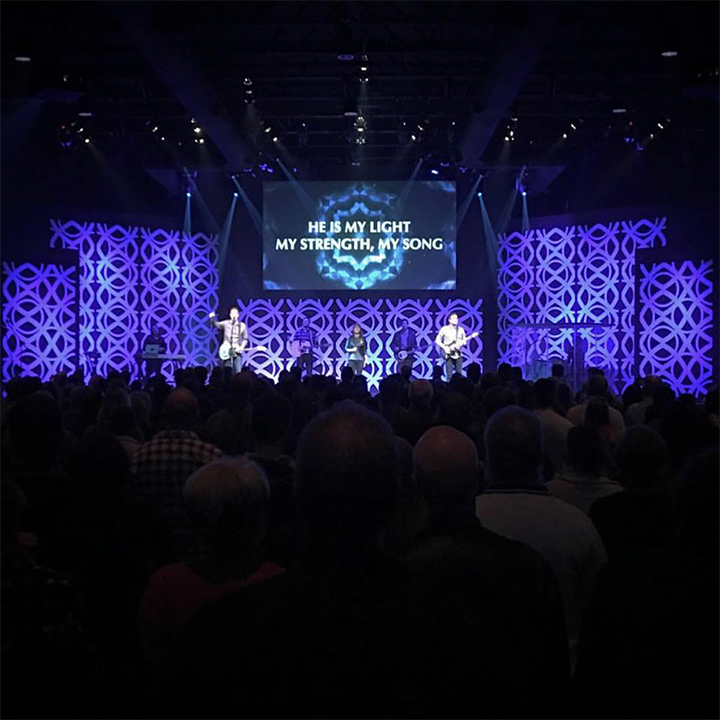 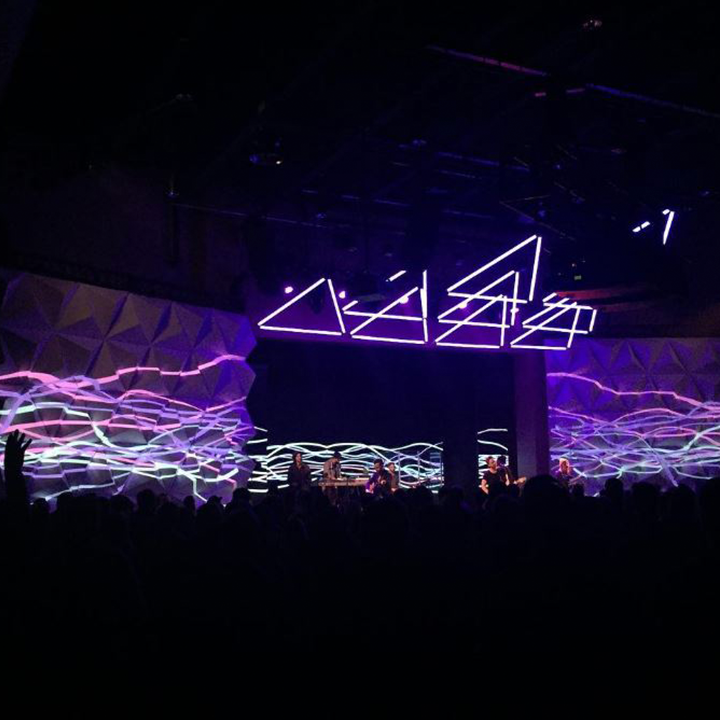 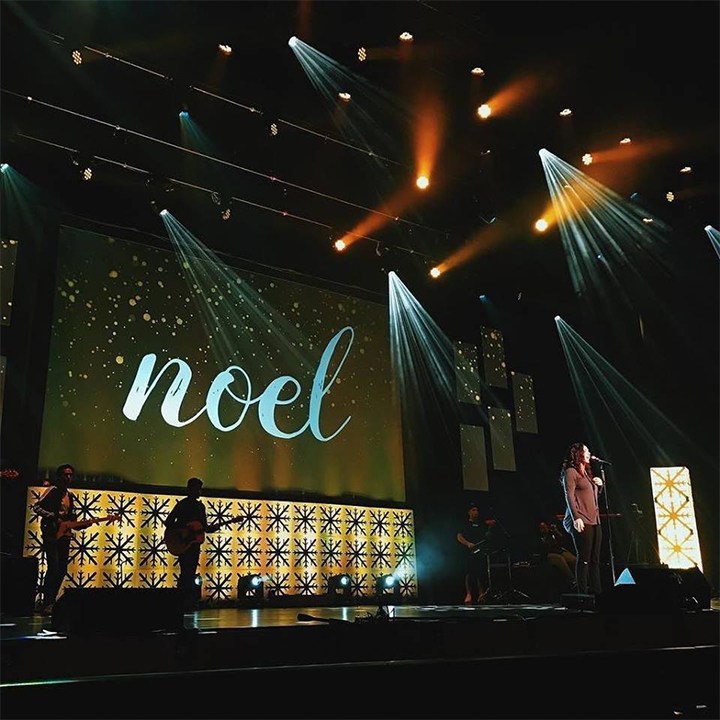 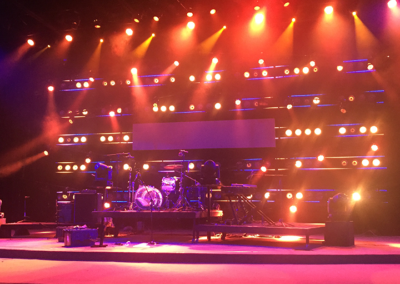 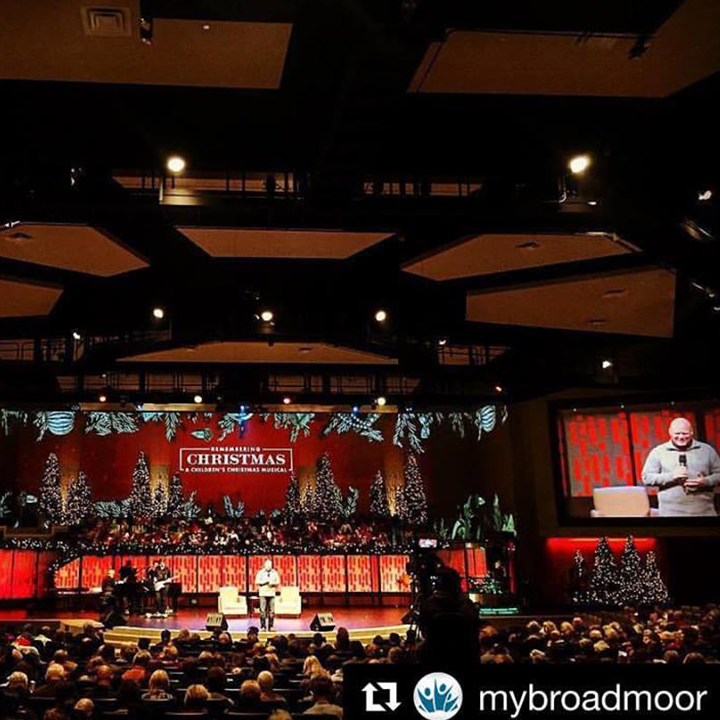 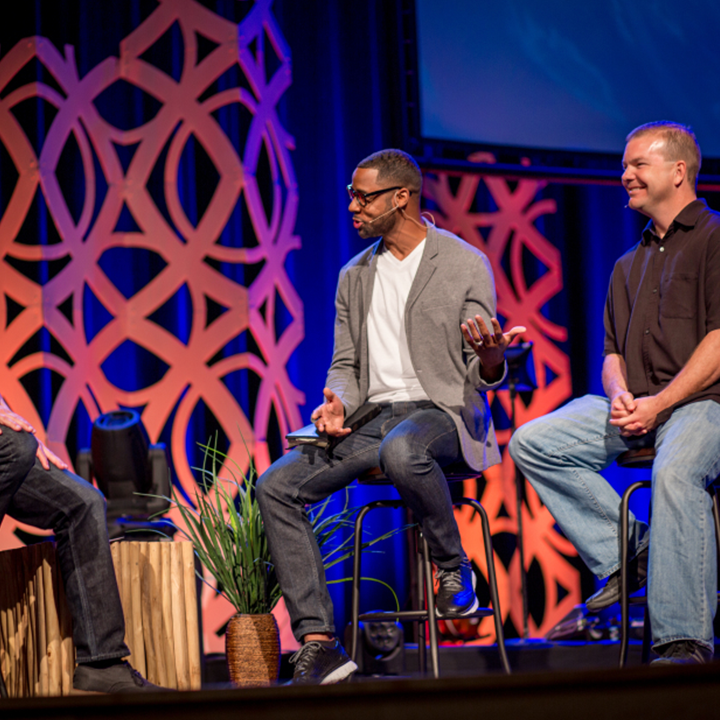 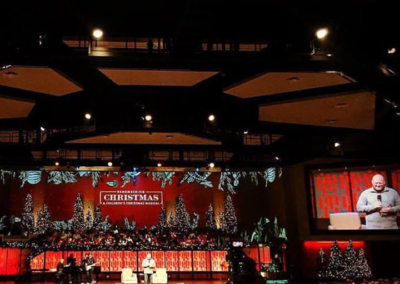 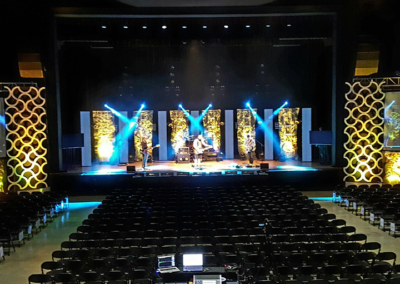 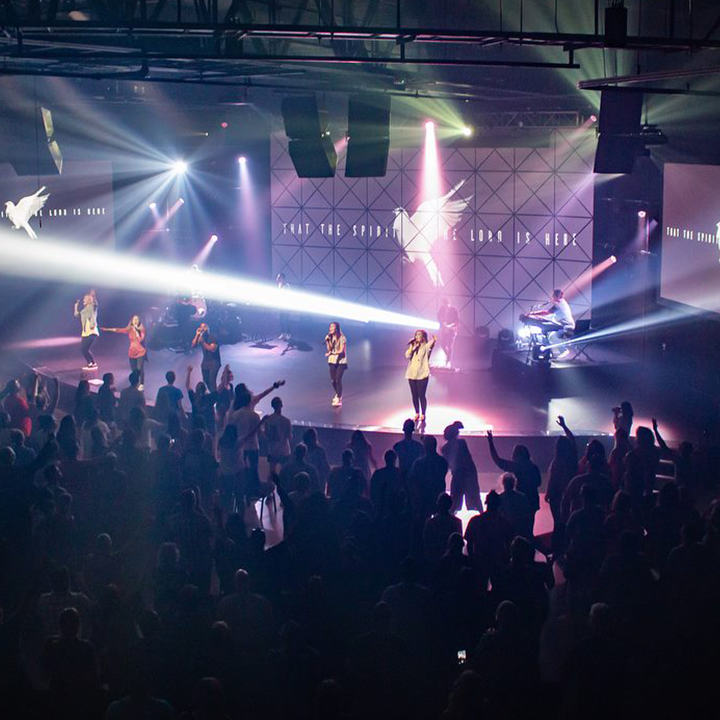 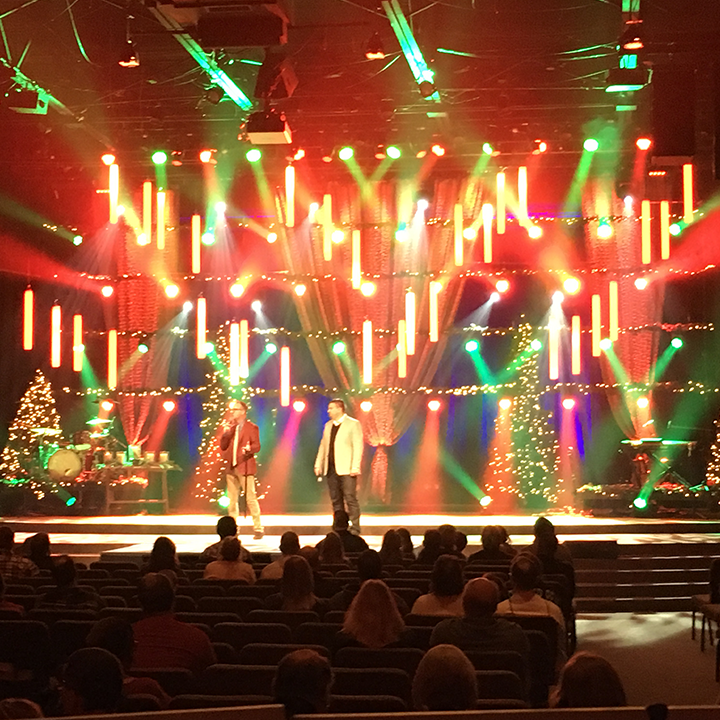 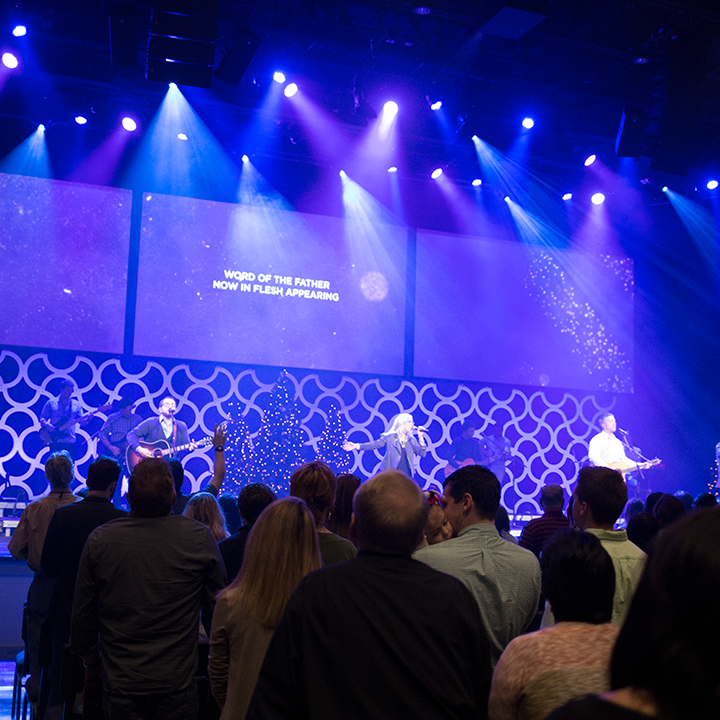 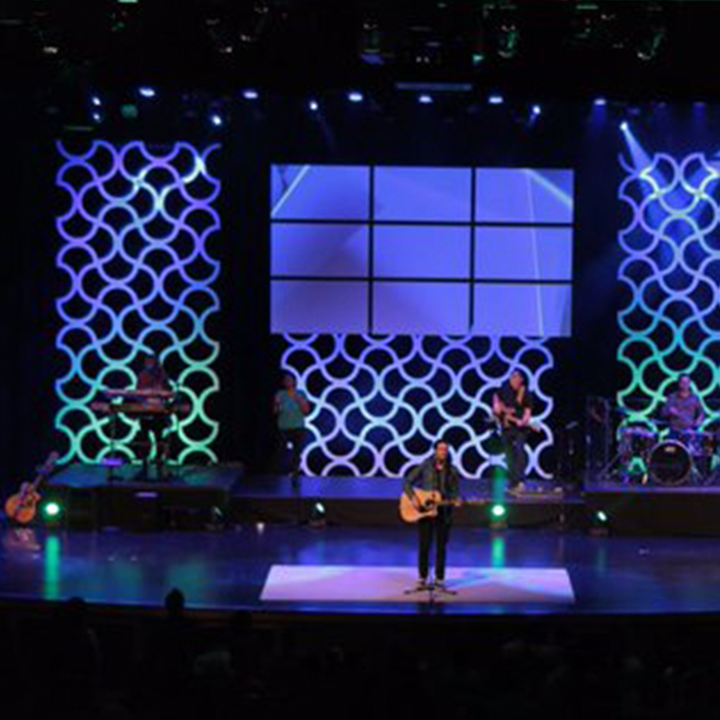 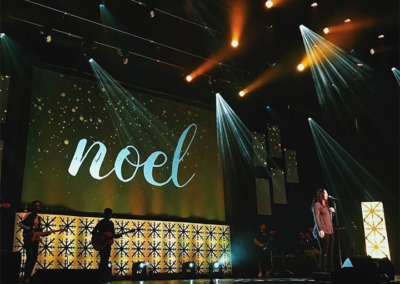 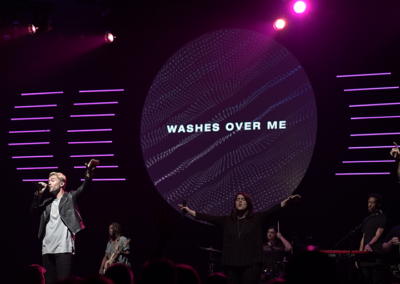 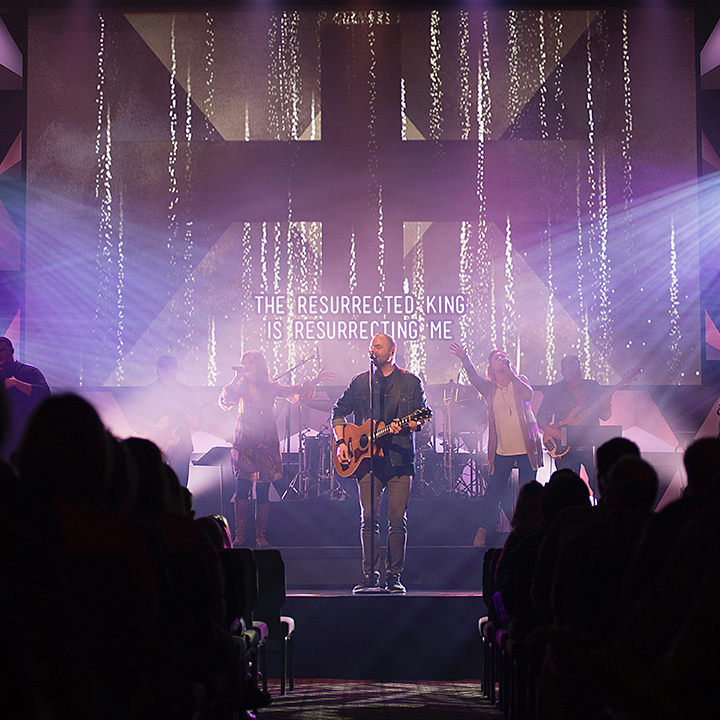 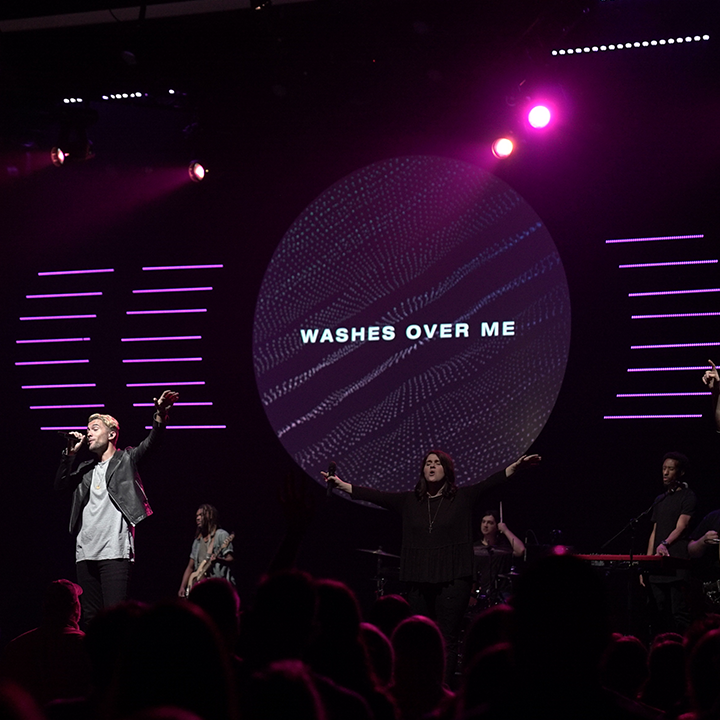 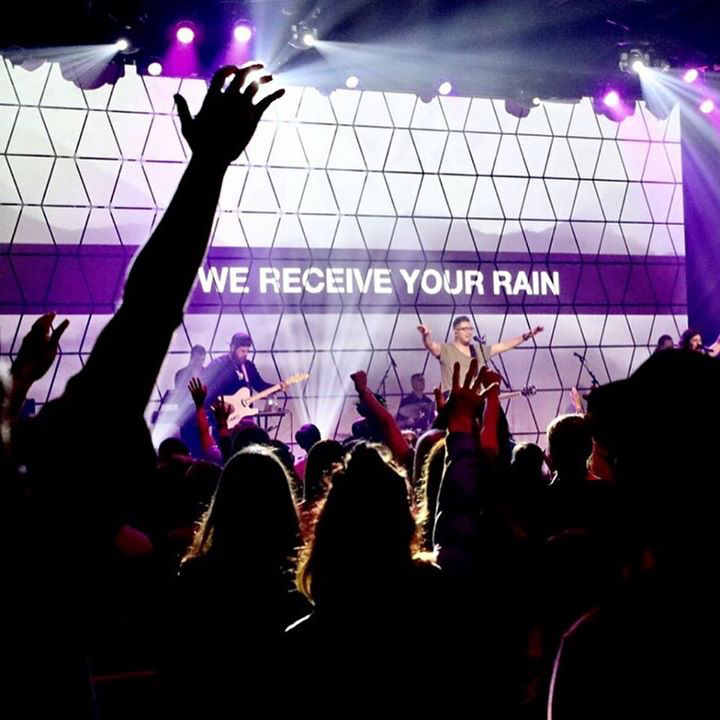 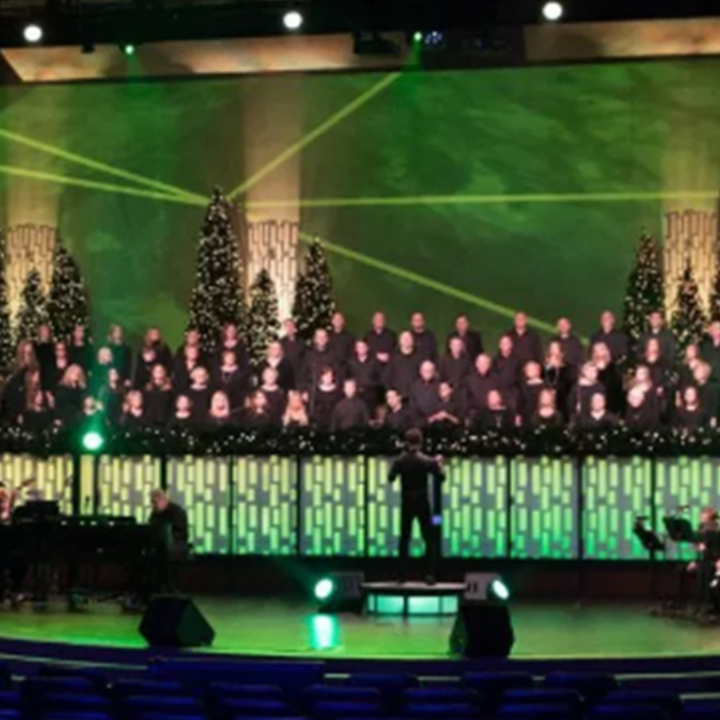 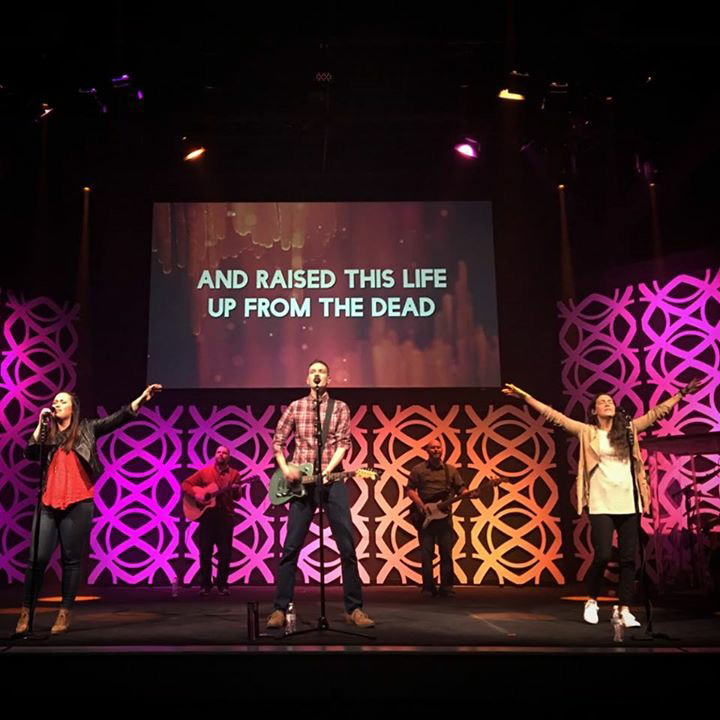 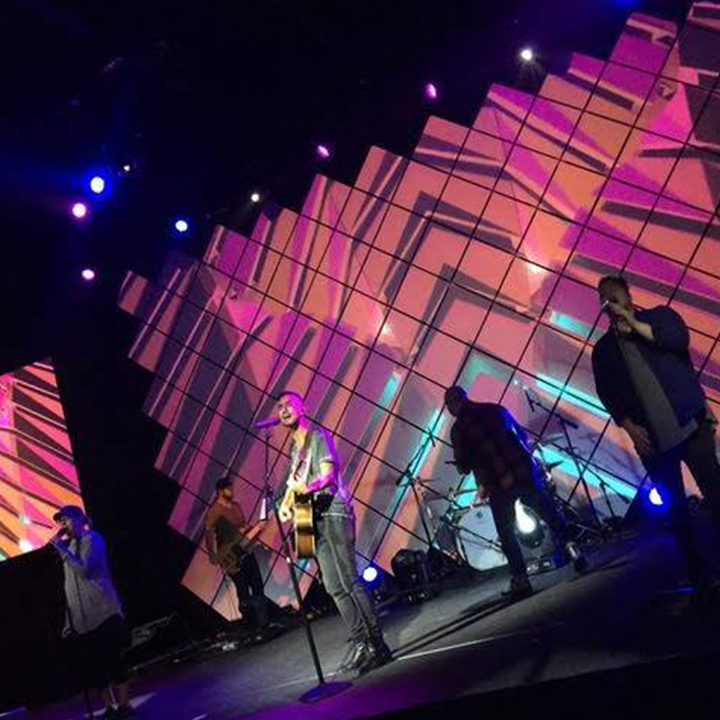 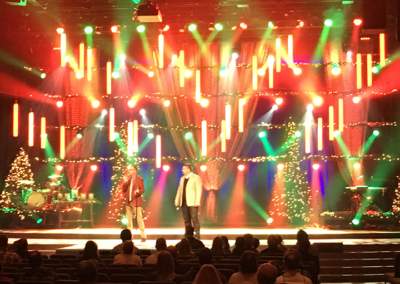 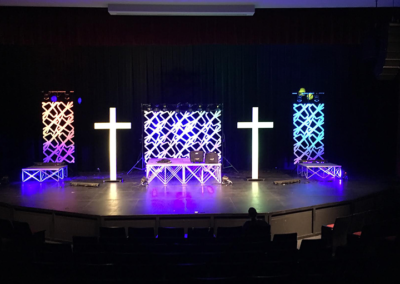 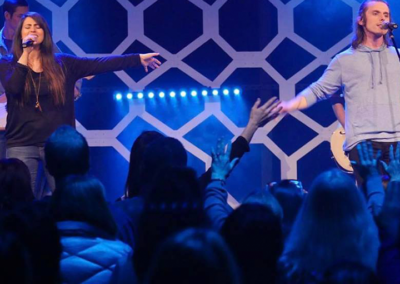 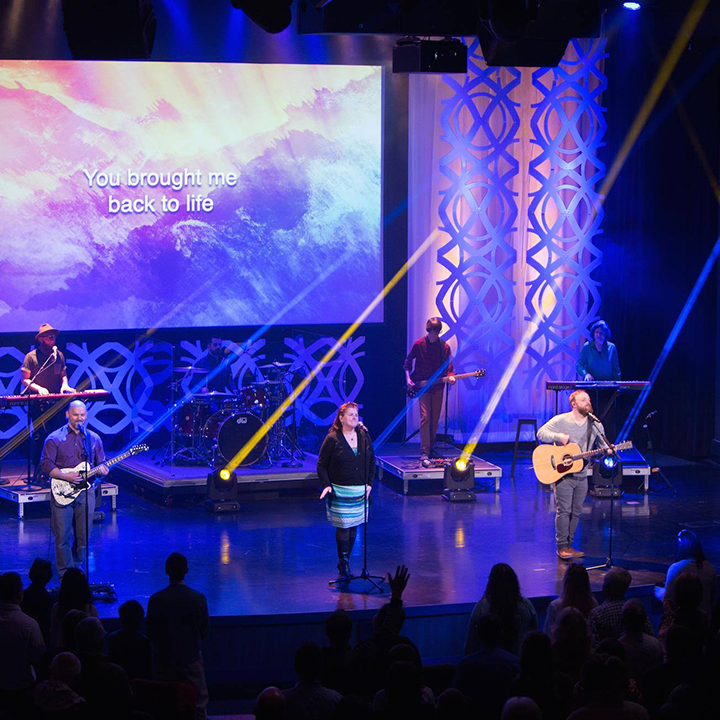 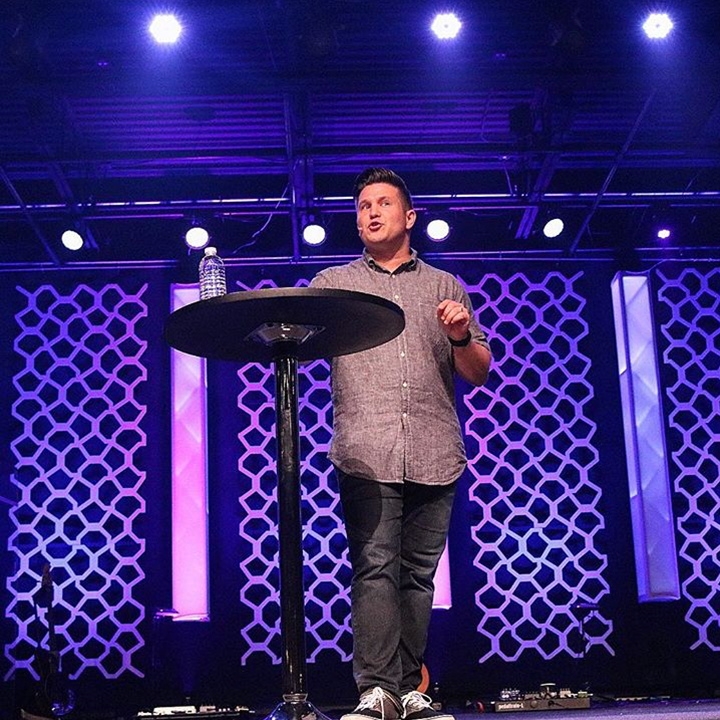 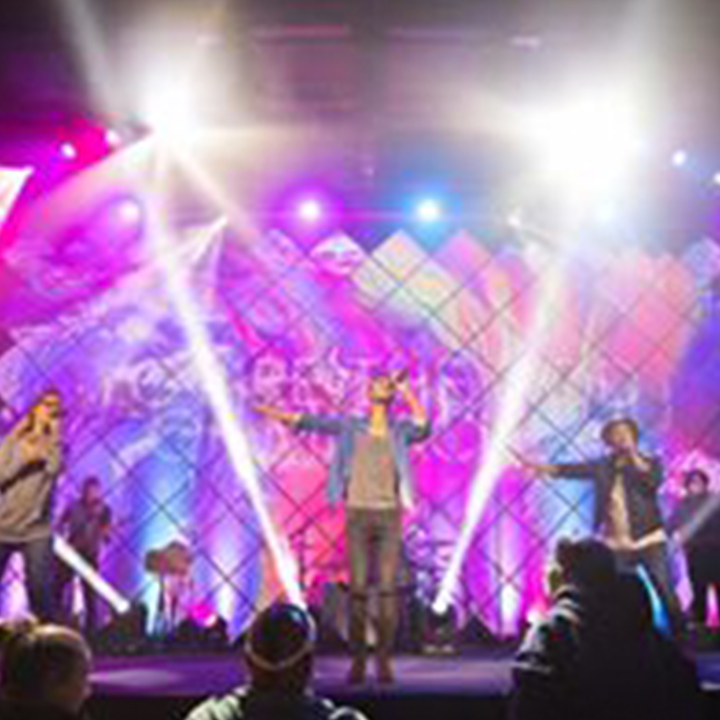 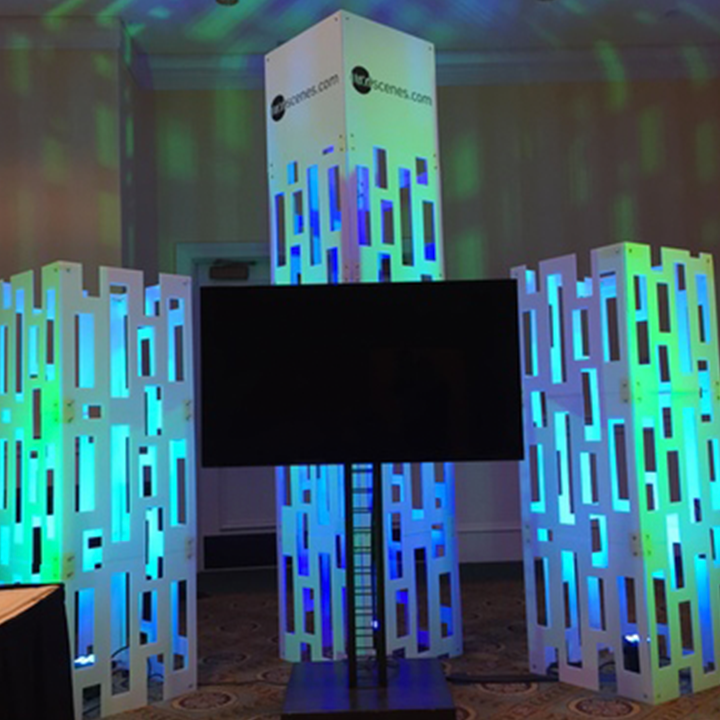 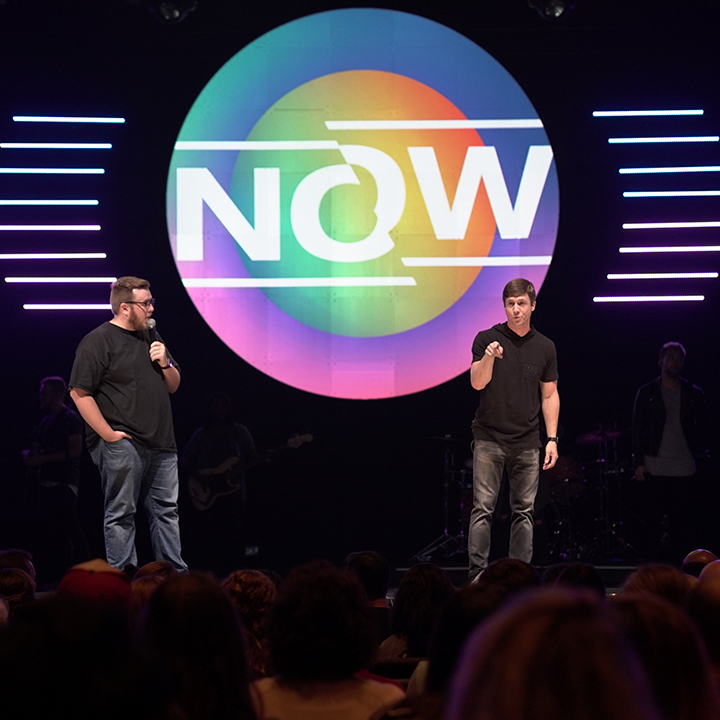 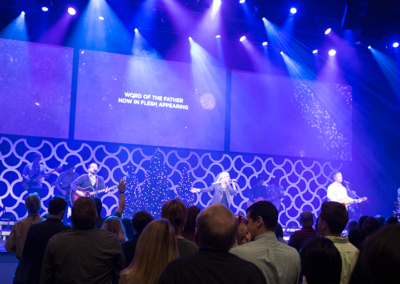 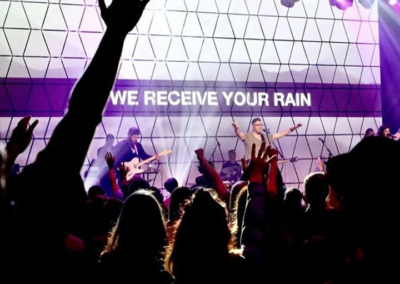 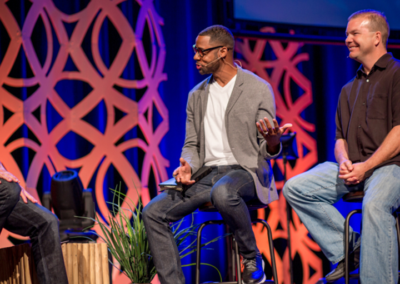 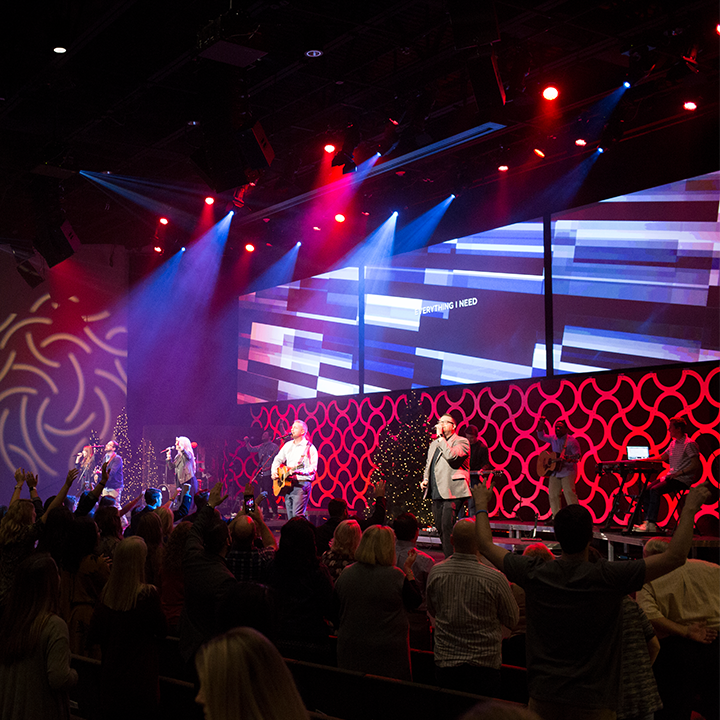 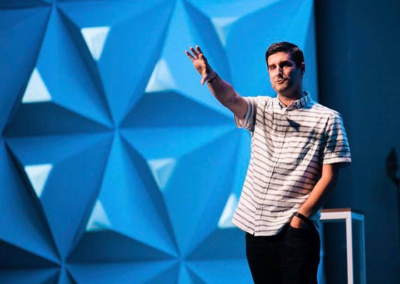 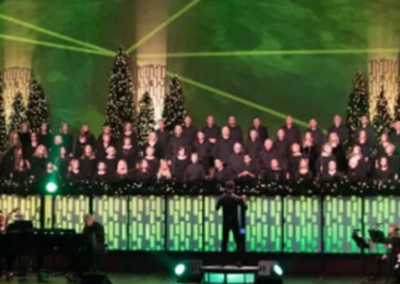 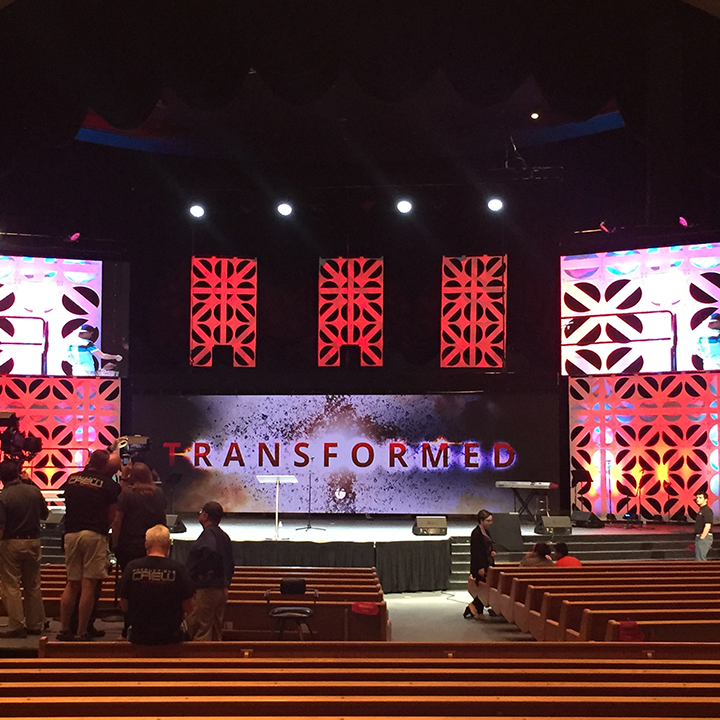 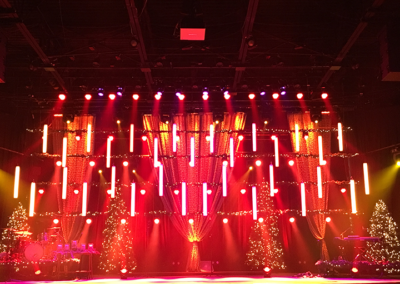 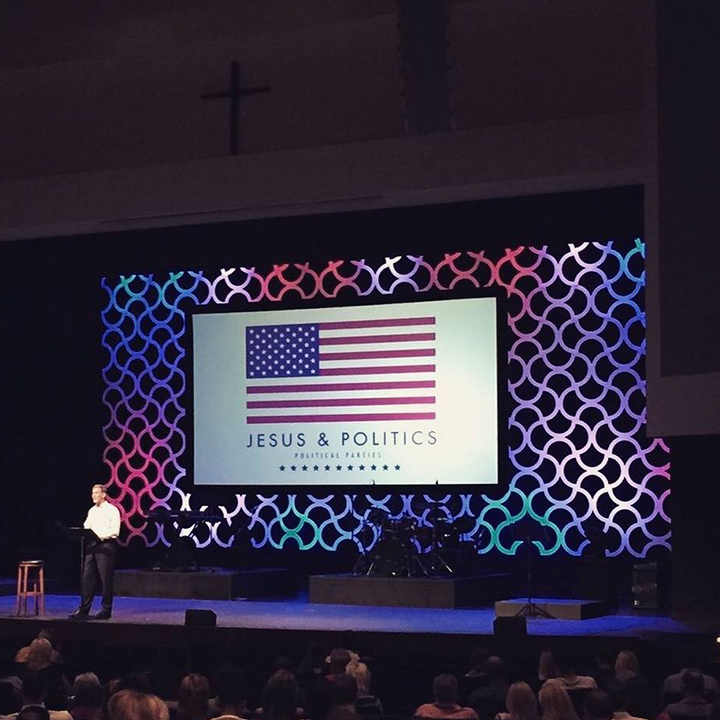 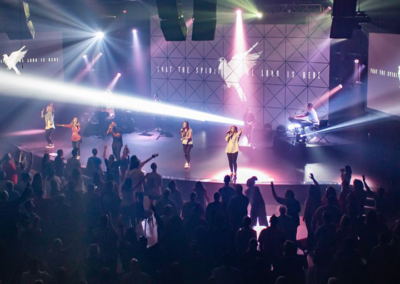 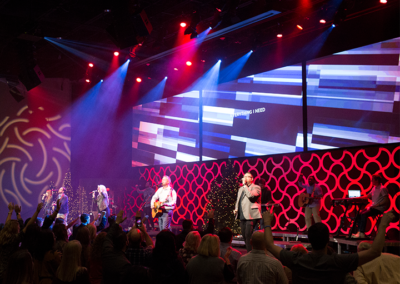 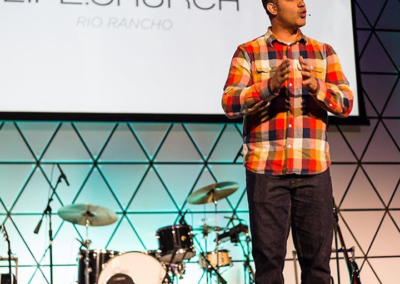 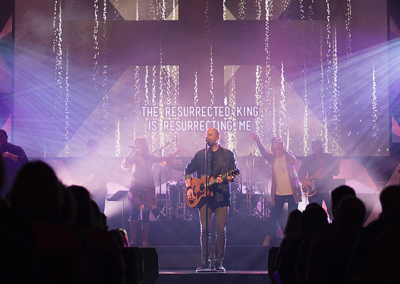 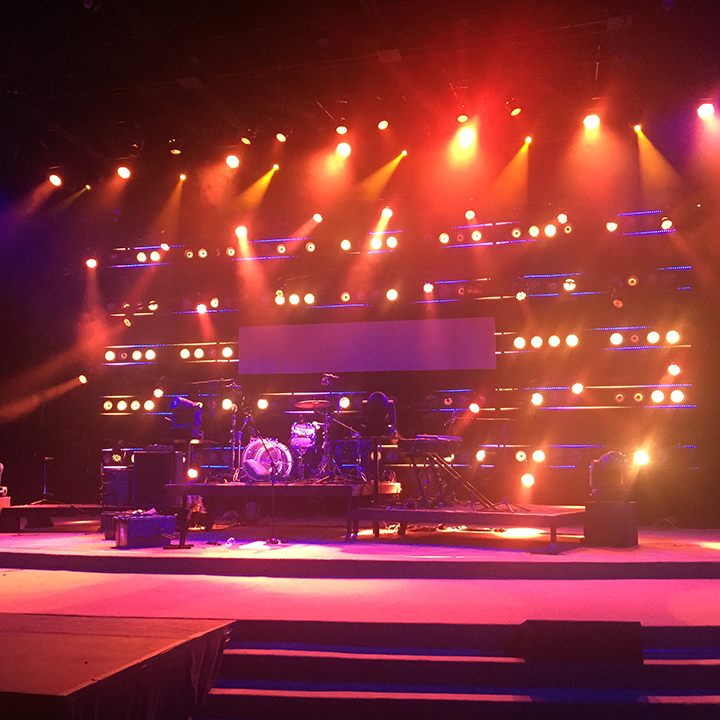 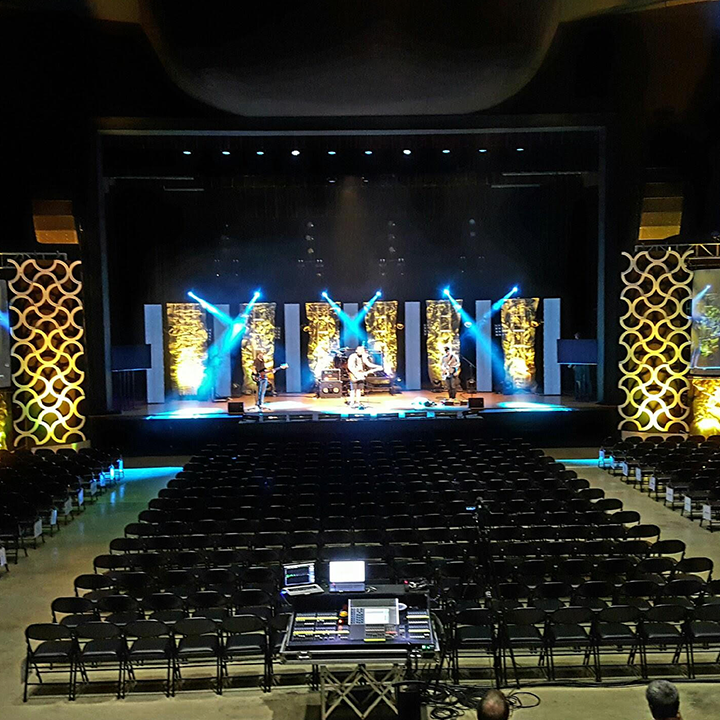 Brian and the team at Church of the Highlands have used our scenic products at many of their campuses. 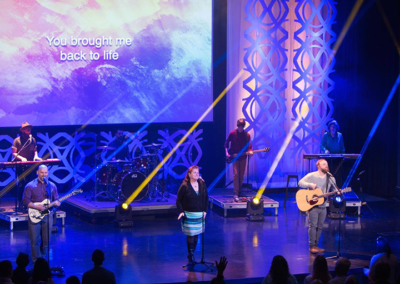 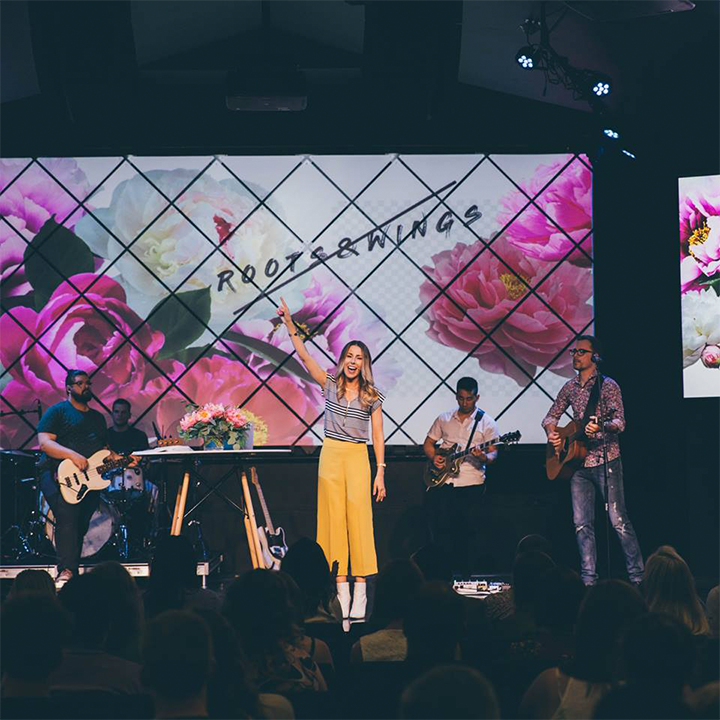 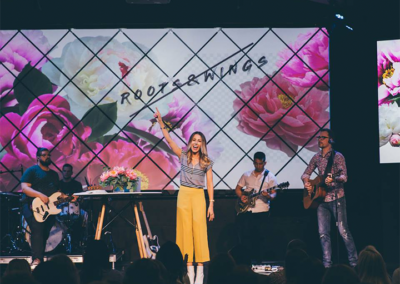 We’ve helped to create custom products that fit Church of the Highlands’ needs and worked with them during the process to refine how to reach their best fit both visually and budgetarily. 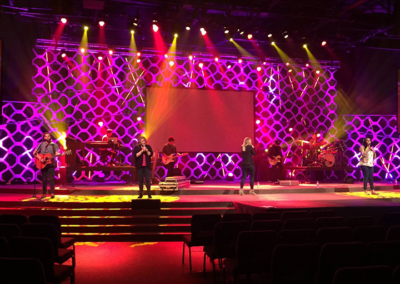 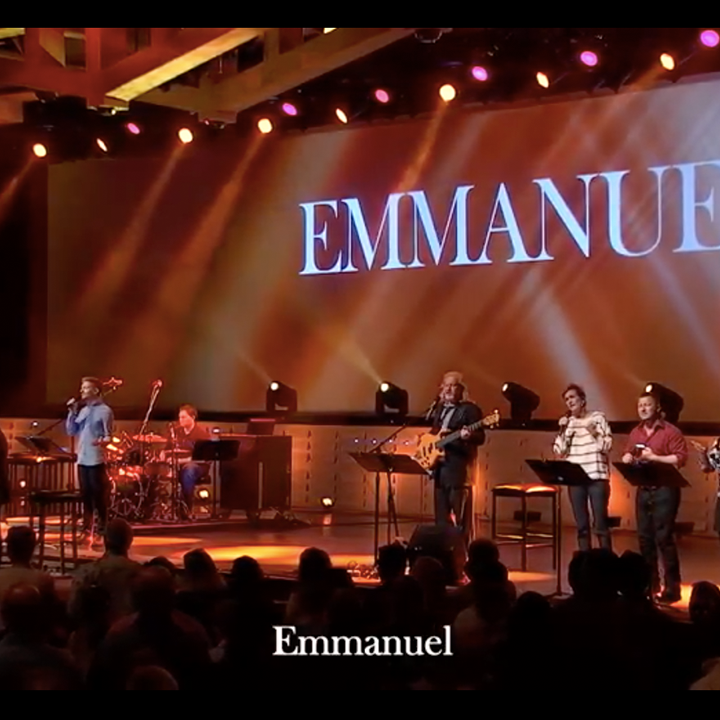 Church of the Highlands has also been an early adopter of our Pro Scenes product line. 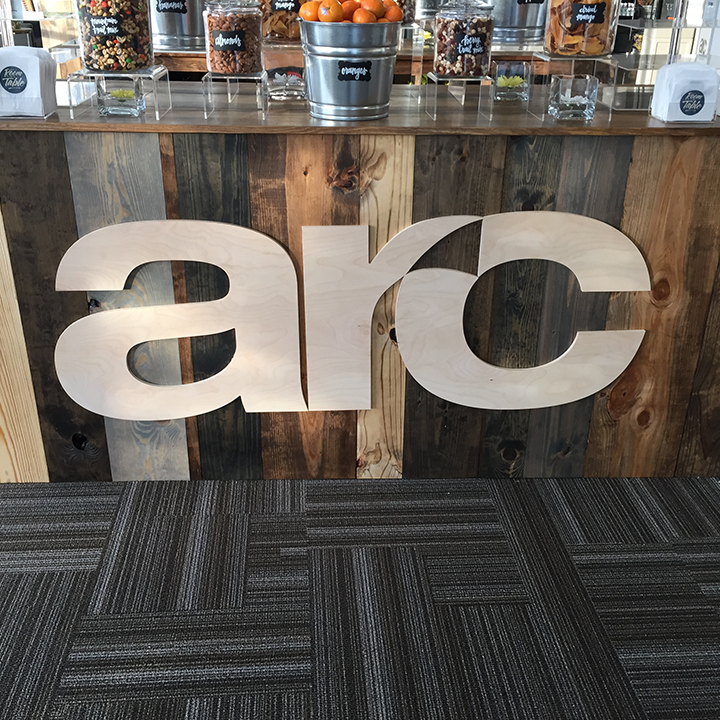 Our products and services have helped them to be better stewards of their resources. 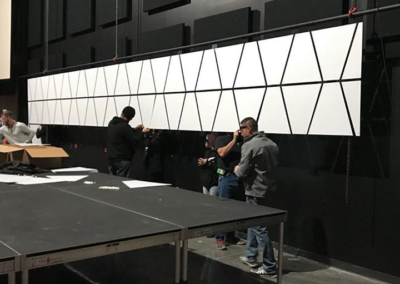 In the past, they have used more expensive sets from Atomicdesign.tv. 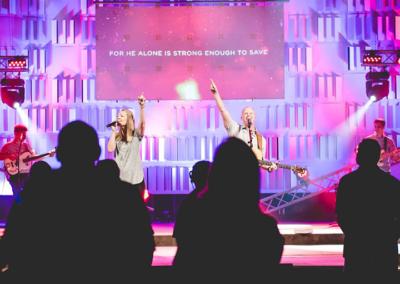 Although many of their products are amazing, the cost-effectiveness of many Atomic products typically does not align with the needs of the church. 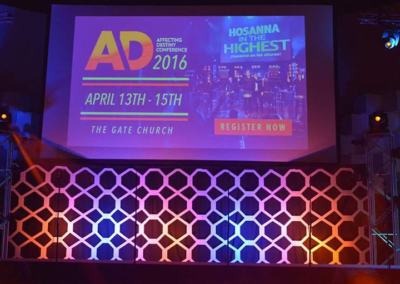 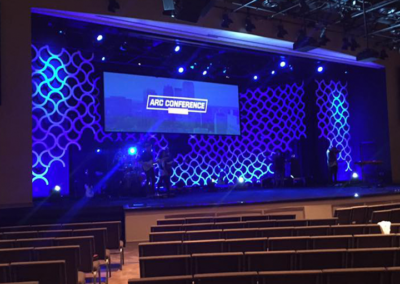 Further, we have served Church of the Highlands through the ARC (Association of Related Churches) conference. 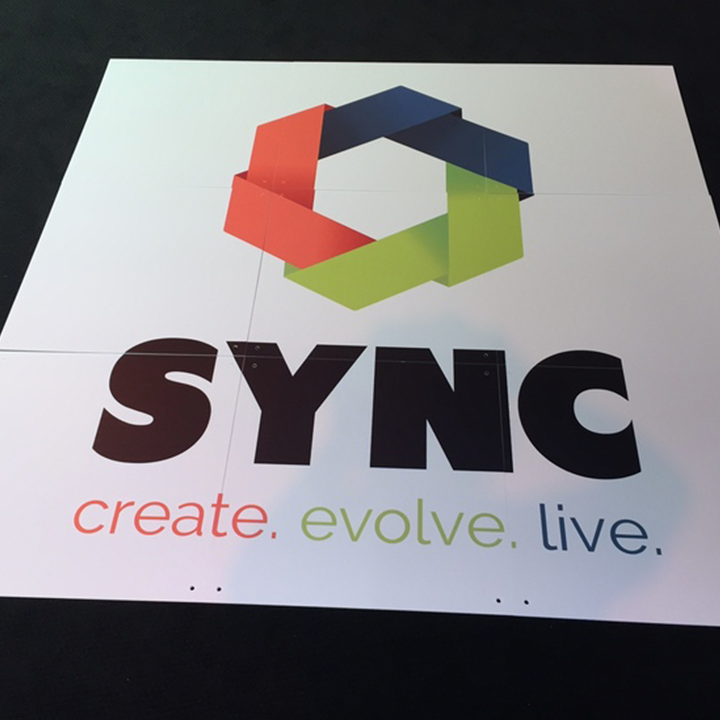 We’ve created custom Signage that fits their needs great! 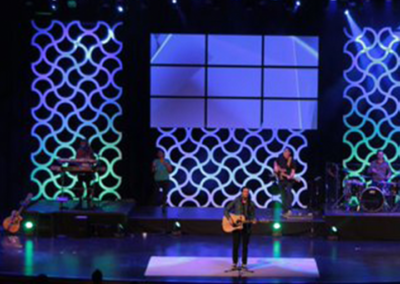 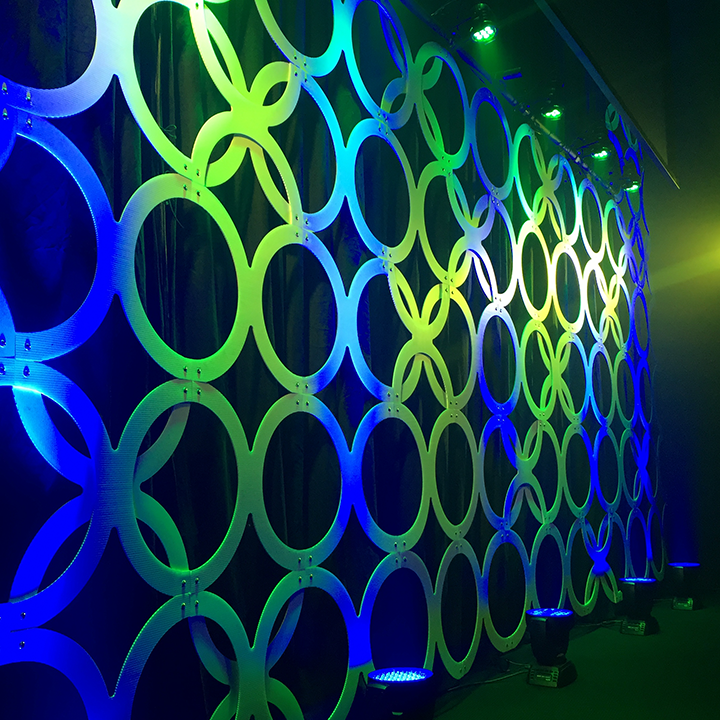 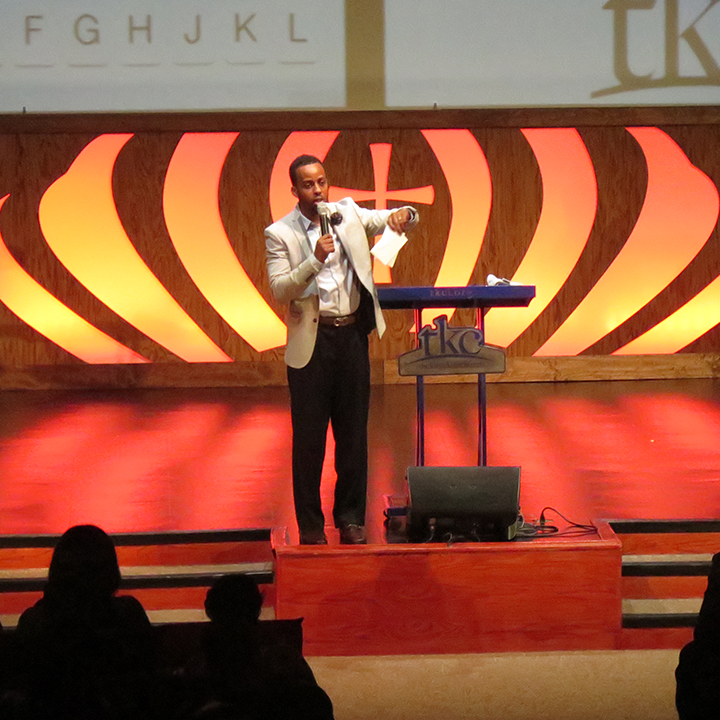 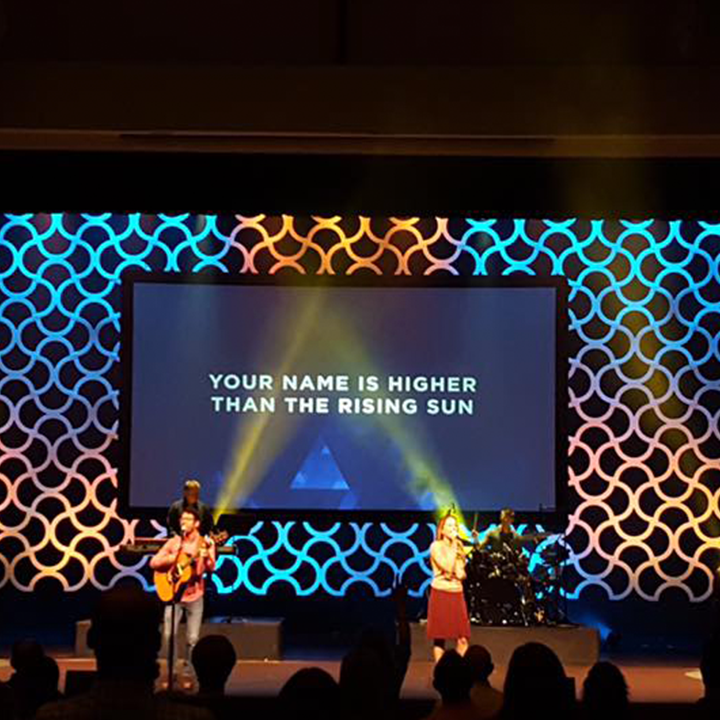 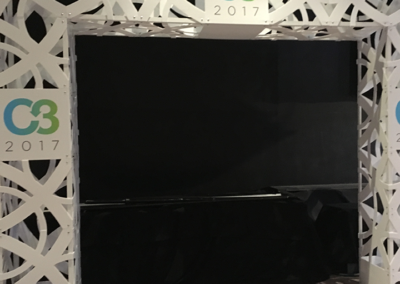 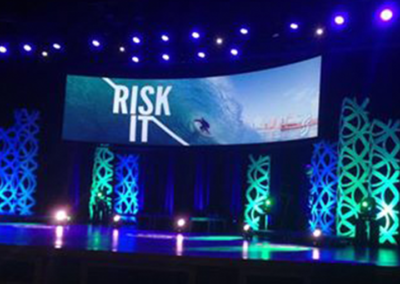 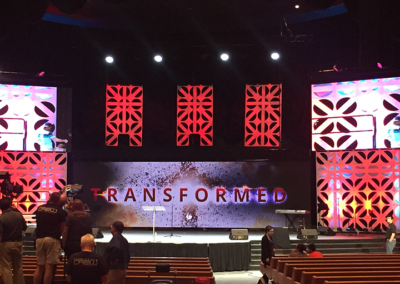 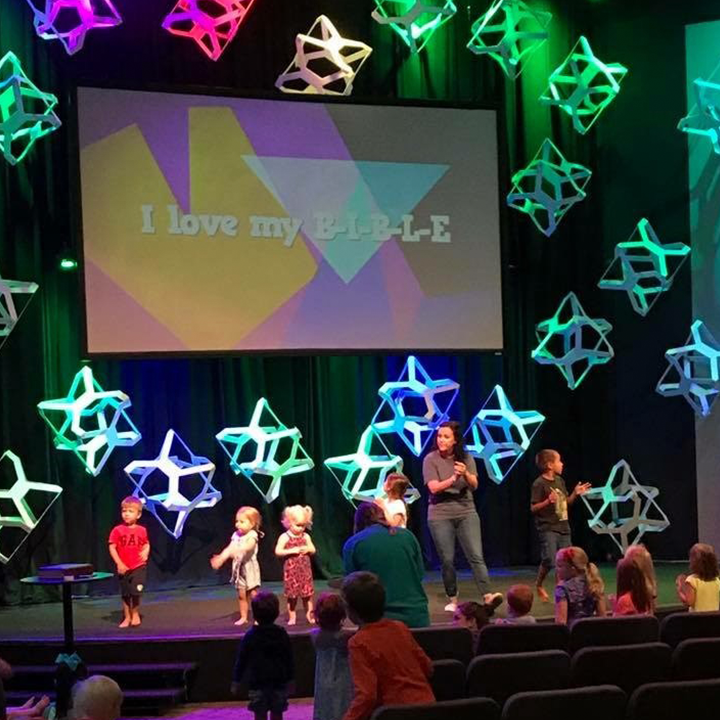 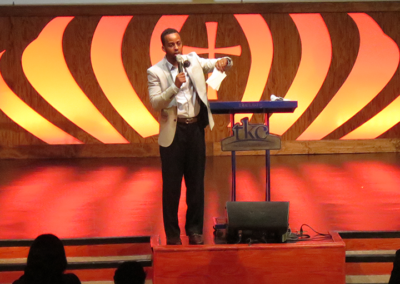 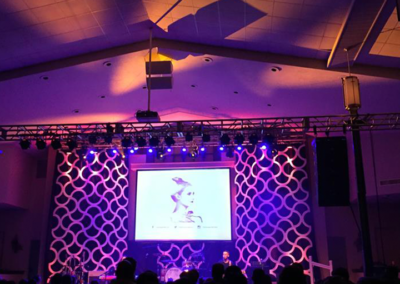 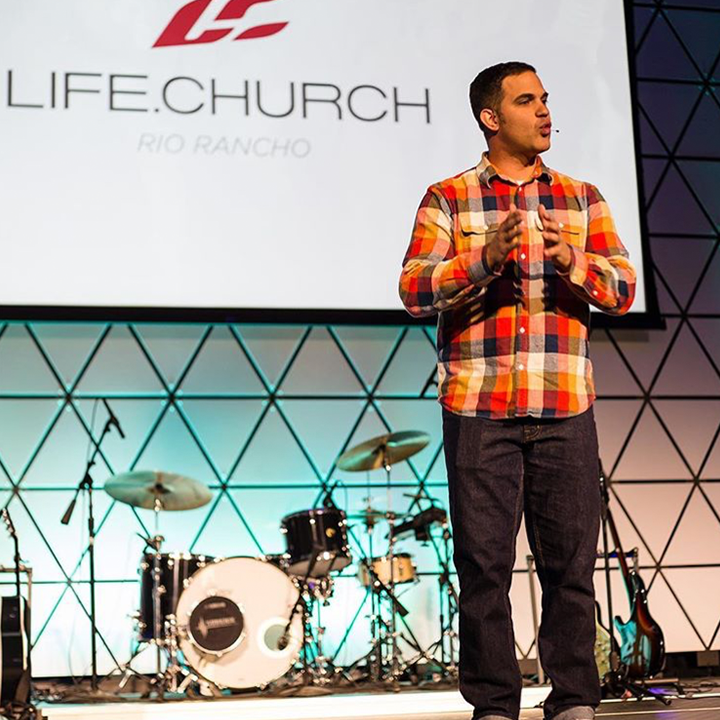 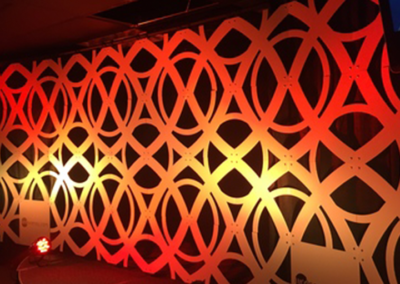 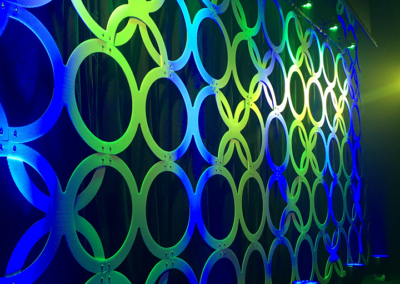 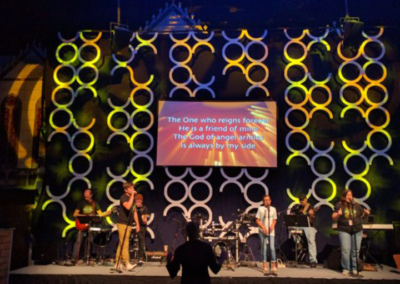 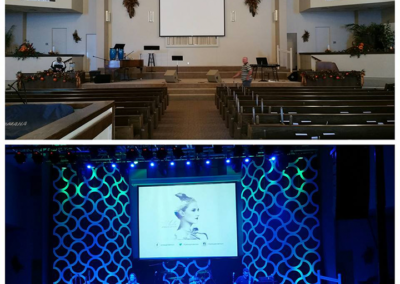 Church of the Highlands has utilized our Crescent Moon, Asterisk, Canvas, Hexaton, and Curves design panels. 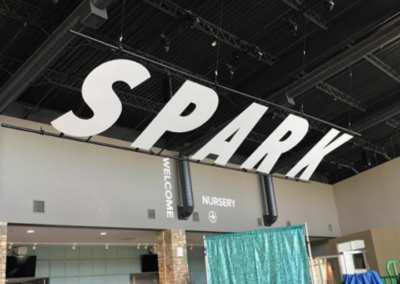 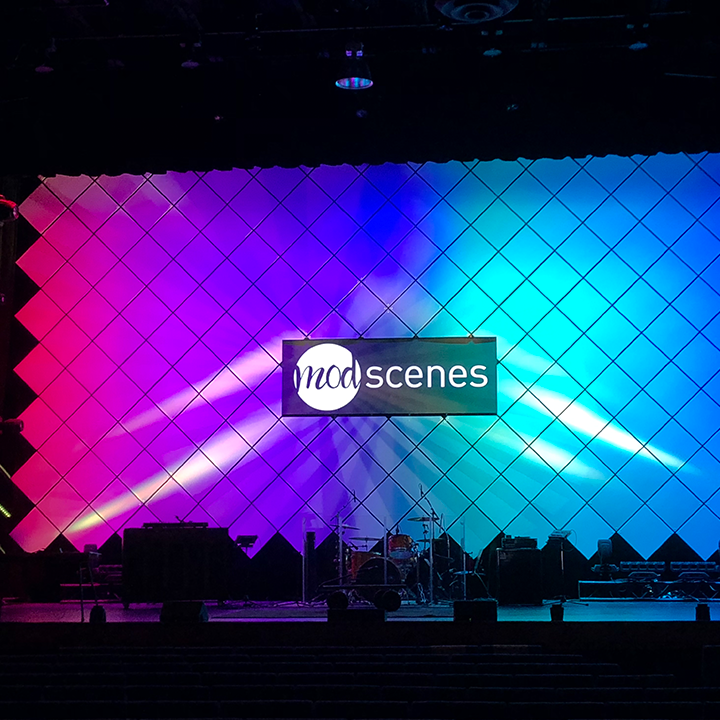 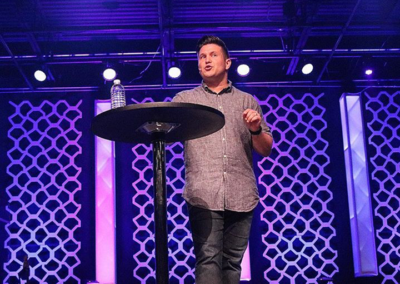 Brian Worster, Experience Director at Church of the Highlands had this to say “Whether I’ve been researching a new product or needed something unique for an installation, I’ve only received great customer service and a quality product from Steven and the team at Mod Scenes.” We love serving our friends at Church of the Highlands! 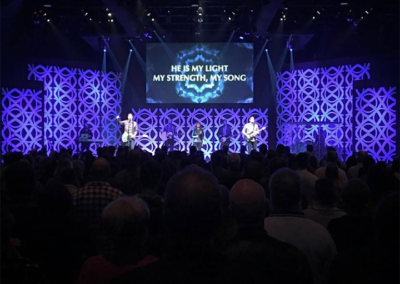 We have served our friends at Willow Creek Community Church multiple times throughout their various campuses. 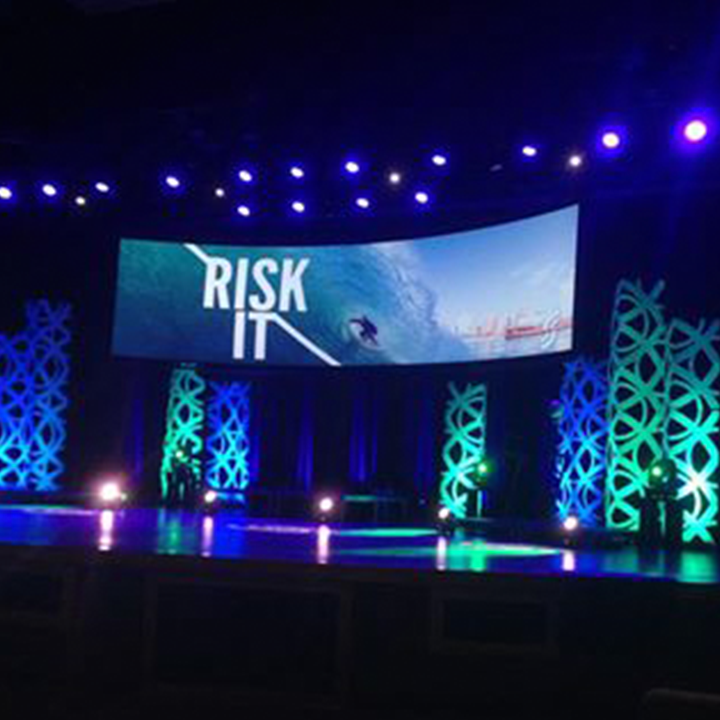 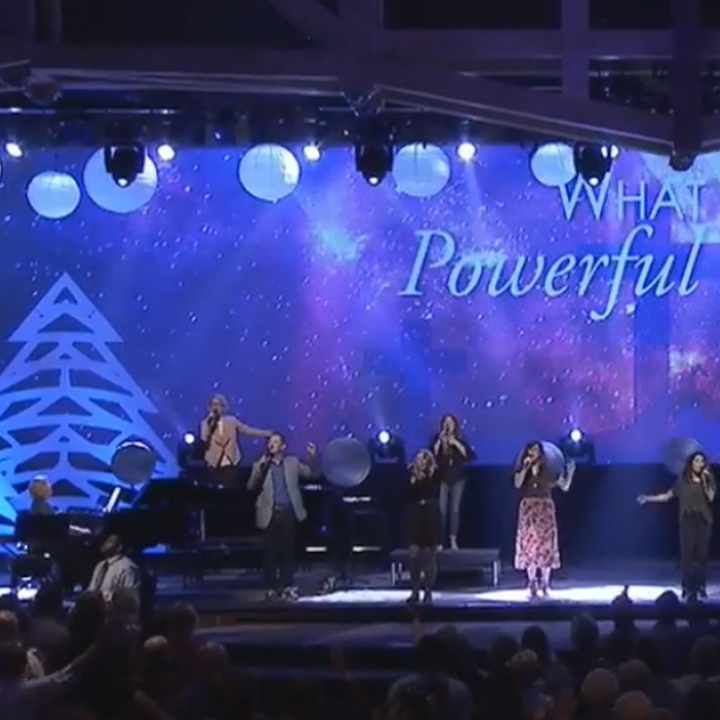 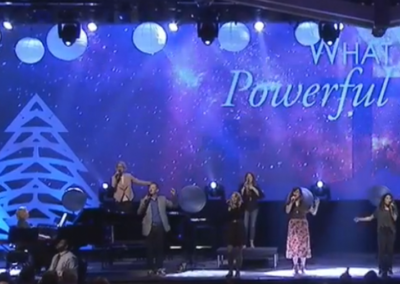 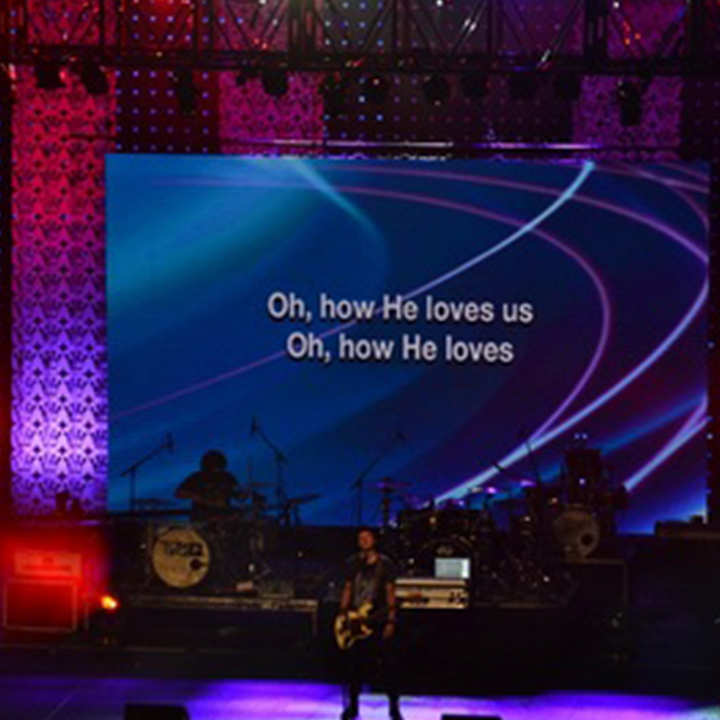 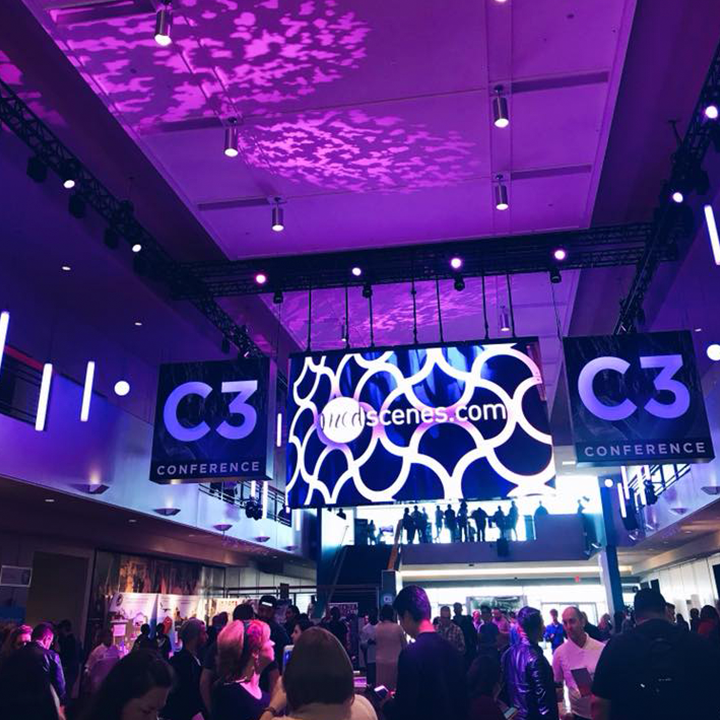 Willow Creek Community Church has used both our great scenic products and rental of our LED hoists. 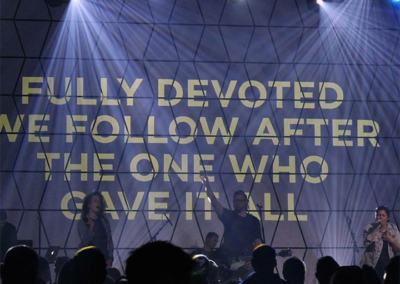 It is our great pleasure to serve them well! 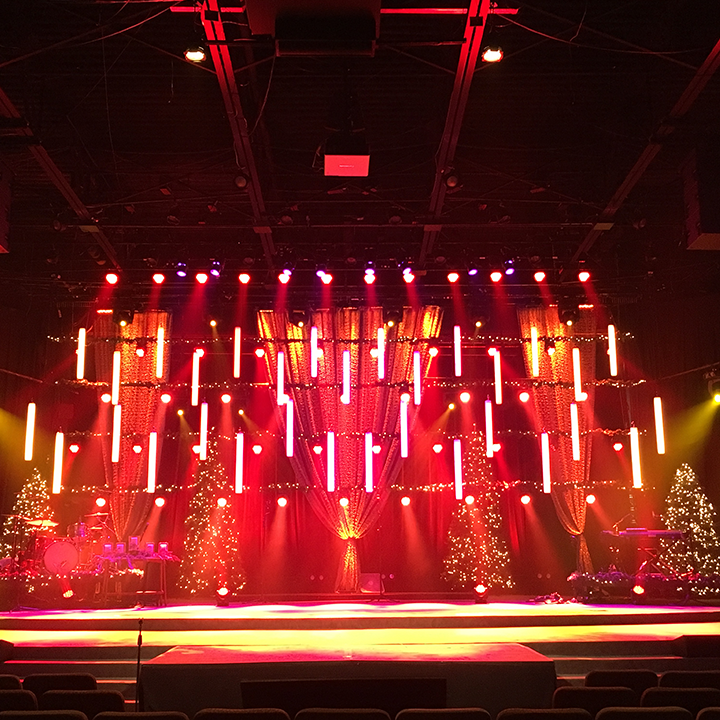 You can view some of the incredible work that the team at Willow Creek Crystal Lake has done above or by viewing their featured article on Chruchstagedesignideas.com Additionally you can see our work above from Willow Creek Community Church North Shore, where we provided a full system of dmxhoists. 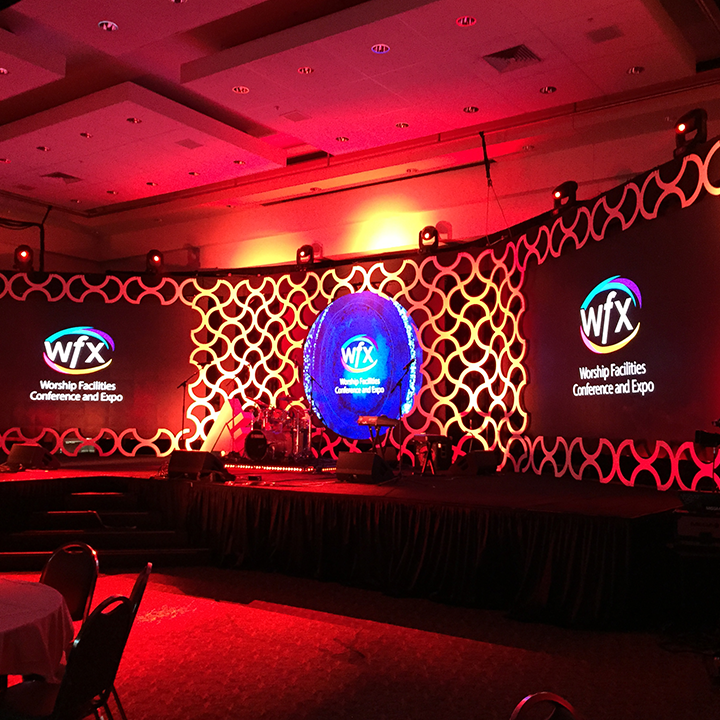 As you can see hundreds of clients have trusted us with their stage design needs. 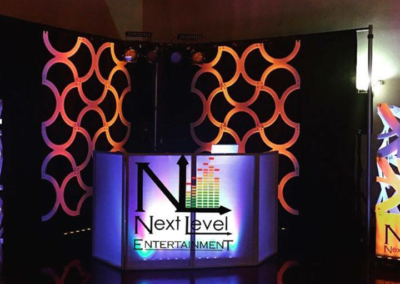 We would love to show you how we can serve you amazingly!